THE STORY BEHIND THE STORIES! 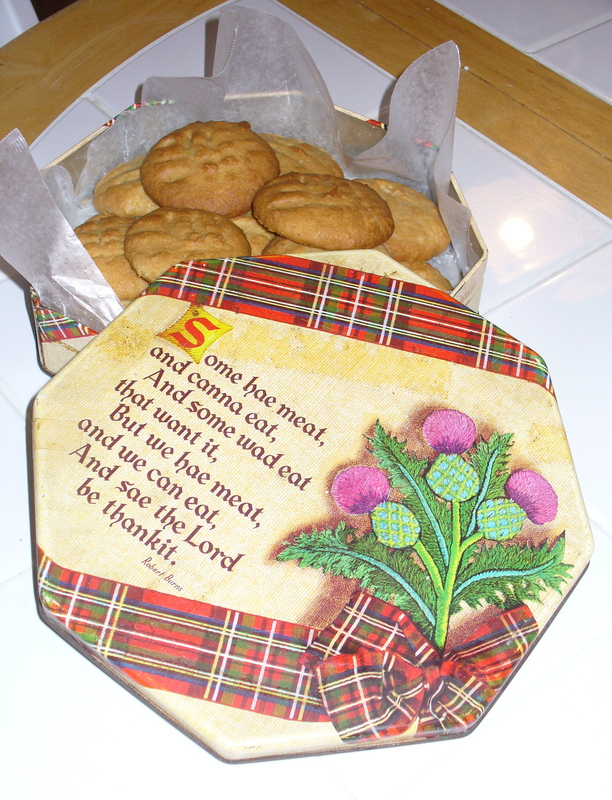 My mother’s family was Scottish. Her father grew up in Aberdeen and although her mother grew up in Quincy, Massachusetts, that family had strong Scottish roots. My grandparents met at one of the Scottish dances. When they married they lived with his parents. My grandmother became an apprentice to her new husband’s mother, learning how to prepare all foods Scottish. My grandmother grew up as one of the older girls in a family of ten. She and her older sister became the bakers of the family, baking bread to feed the family for the week. That experience, together with her training in Scottish cuisine (don’t laugh) turned her into the culinary matriarch of the family. 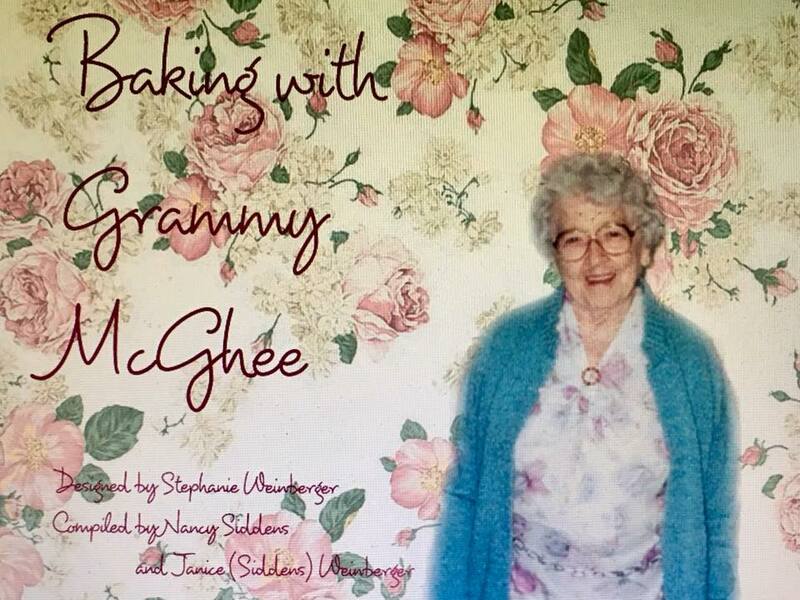 A few years ago we put all her recipes together in a cookbook. Really it was a book of baking sweets! The entire extended family would go to my grandparents’ for “tea” every Sunday afternoon for the family gathering of the week. However, since I grew up next door, I knew that you could go to her house any day of the week and get tea and treats. And she would apologize if her tray of baked goods had fewer than four choices on it. Seriously, this woman produced baked treats at a rate that kept a tray filled all week long. Gotta have something to munch on while you’re having your tea! And I suspect that in that house, there was tea every afternoon. My grandmother trained me in tea making. To properly prepare tea, there is a whole set of rules to follow. It is always best if you make a pot instead of individual cups. You need to bring the water to a strong boil, then put some of the water in the pot to “hot the pot.” Throw out that water, then put in fresh boiled water, then the tea. She typically would use tea bags, and would put in one bag for each cup she planned to make, plus one extra bag for the pot. Steep the tea 3 minutes, remove the bags, and pour. Then each person put milk and sugar to taste in their own cup. My ex-husband told me I made tea as though I were a chemist. I may sometimes make a single cup of tea with a teabag, but I could not stand the thought of pouring milk into a cup that still had a teabag in it. One of my favorite family stories is the one about when my brother met my sister-in-law. 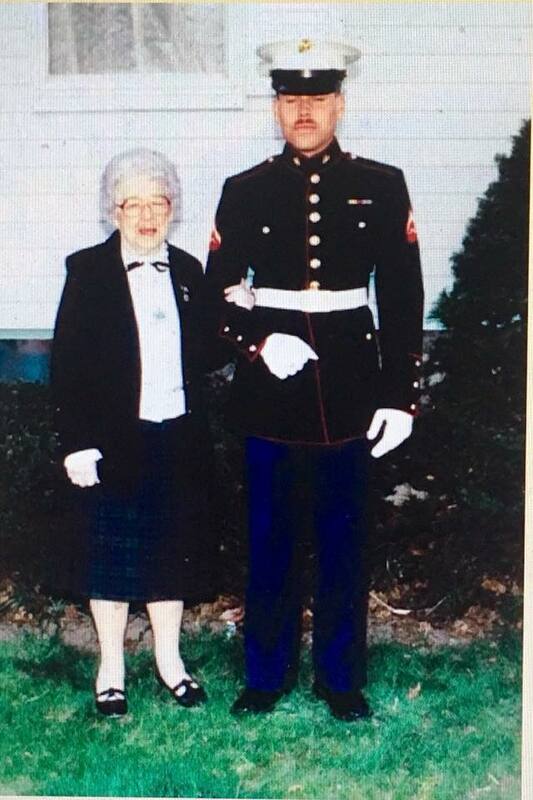 He was a Marine who had just returned from Desert Storm. She offered him a cup of tea. She put a teabag and water in a mug and put it in the microwave. He jumped up and said, “That’s not how you make tea!” He then proceeded to show her how it is done. This is how seriously we take tea in our family. “Tea” in the South is nothing like this. “Tea” means iced tea, and preferably sweet tea. If you want a cup of hot tea, you need to be very specific about what you want. Especially in New Mexico, where hot tea is often manzanilla (chamomile), which is very common in Hispanic cultures. When you throw in the options of green tea and all of the varieties of herbal tea that are out there, if you simply ask for hot tea in New Mexico, anything might show up. I remember once explaining to a waiter that I wanted hot tea with a little milk on the side. I might as well have been from Mars. He then proceeded to ask me if I wanted green tea, peppermint tea, or a number of other teas. I looked at him like HE was from Mars. Who on Earth wants milk in their green tea?! The concept of hot black tea with milk in it is completely foreign to these parts. The few people who drink hot black tea tend to take it with lemon. As a kid I’d never heard of putting lemon in your tea. Sure, if it was iced tea, but not hot! The first time I remember someone drinking hot tea with lemon was my college roommate. I just couldn’t understand how anyone would prefer it that way. In New Mexico there was a time I asked for hot tea at Applebees. They said they didn’t carry it. Maybe because it wasn’t winter at the time? I was mystified. A few years later at the same Applebees—in late fall—I asked for hot tea again. I explained that I wanted black tea and a side of milk. It turned out the waitress was originally from New Jersey and she told me that when she started working there, she asked if she should offer milk or lemon with hot tea. They told her not to bother—that no one drinks hot tea with milk. She was relieved to learn that at least one person out there wanted it that way! Explaining that you want hot black tea sometimes isn’t specific enough. Many waitstaff don’t understand what you mean by that. They don’t realize that Darjeeling and Orange Pekoe are black teas. If they have English Breakfast or Irish Breakfast, you must ask for them specifically by name. They often don’t realize those are also black teas. And then there is Earl Grey. Yes, it’s black, but I think it tastes kinda perfumey. Earl Grey is in a category of its own. So my latest New Mexico hot tea adventure was at the International House of Pancakes with my mom. If I got tea I knew my mom would want it. The waitress seemed very nice but was quite young and I immediately thought she was going to need specifics on what we meant by “hot tea.” So I asked for hot tea with some milk. I forgot to mention the “black” part, though I’m not sure that would have mattered. What showed up were two individual teapots of chamomile tea and two LARGE glasses of milk! What is that saying about “When in Rome…”? I think I am going to have to start drinking manzanilla. At least I’ll know what will show up! Last summer I caught up with many friends and enjoyed my time in New England. But I did have one rough weekend. Over the course of just a few days I learned that 3 college friends had experienced deaths in their families—two mothers and a brother had passed on. This happened during a weekend when my own mother was visiting and I was dealing with some of her not-so-fun aging issues. The whole weekend made me feel like punching a hole through my wall. Which might have been easy given that I live in a mobile home while I’m in Vermont in the summer. The past decade has brought more than a few experiences dealing with aging—managing aging parents, coping with losses, and excavating houses that are monuments to childhood. My generation’s parents, who grew up as depression era babies, did not let go of anything. When I helped clean out the house my mother lived in for fifty years (so she could move into a senior housing apartment), I discovered a few gems that were clearly squirreled away “just in case.” A favorite find included a box of 1957 McCalls magazines that had been stored in the basement—I believe since 1958—when my parents moved into the house. I don’t think the box had ever been opened in 50 years. But I think it was there “just in case” we didn’t know what to make for dinner one night and had no recipe. If we didn’t have those McCalls recipes in the basement, I don’t know what we would have done! Other favorites included about 7 lawn mowers (just in case 6 broke at one time) and several dozen cans of red paint that were intended to paint the basketball court lines on a gym floor. My Dad took anything anyone wanted to get rid of. And since he worked for the public schools, he had access to discarded gym floor paint. Was he planning to open a basketball court franchise I didn’t know about? 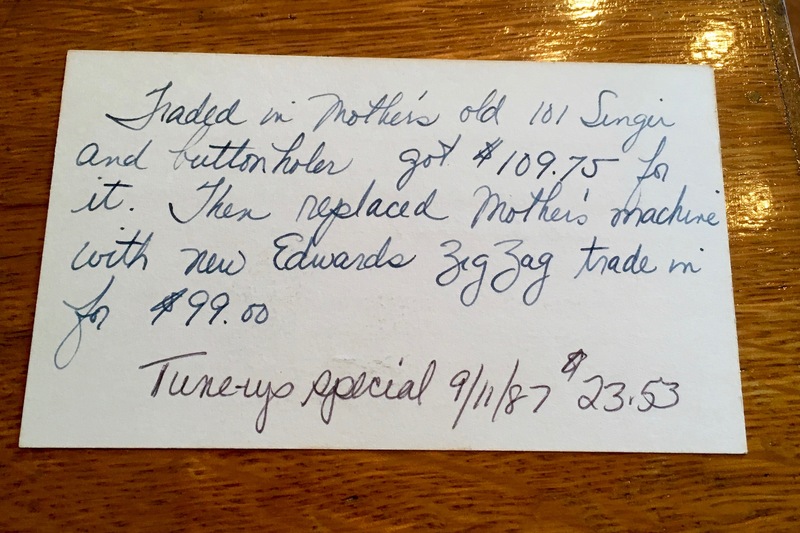 Managing aging parents is so much fun because their style of dealing with issues springs from the 1930s, and those skills are not particularly helpful for the era we are currently living in. I think my mom’s motto is: It’s not nice to talk about things that aren’t nice. But if we don’t, I can’t solve the problems she’s dealing with. 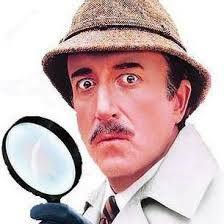 So I feel like I’m a secret investigator half the time figuring out the details of what is going on and how the problems need to be fixed. The first stop on my trip back to New Mexico in the fall was made in Brockport, NY, (outside Rochester) to visit my college roommate in the home she grew up in. She was working on cleaning it out given her mother’s recent passing. That visit most definitely sucked me back in time. I had stayed there several times while in college. Back then it appeared so modern and hip compared to the quaint Cape Cod style house I grew up in. Her mother had designed the house and it had lots of atypical details that made an impression on my 18-year-old self. 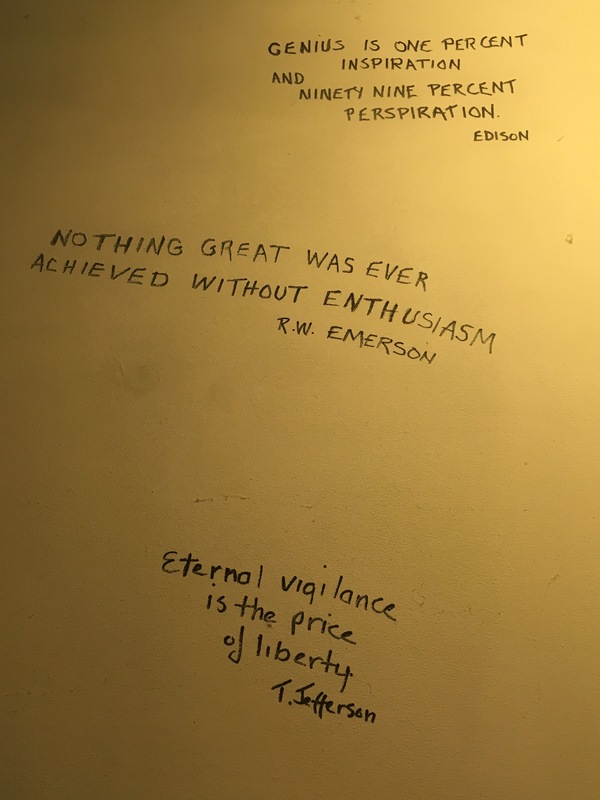 The graffiti in the bathroom probably impressed me the most. This choice of bathroom decor seemed avant garde to me back in the 1970s. It’s probably not that common today either. 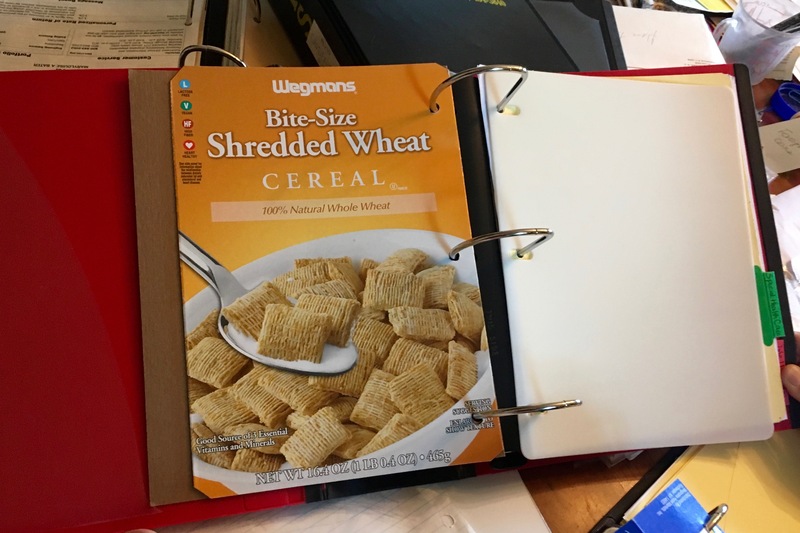 No need to buy cardboard dividers for your catalog sections when the stiff paper from a cereal box will do. Clearly her mom was a depression era baby. 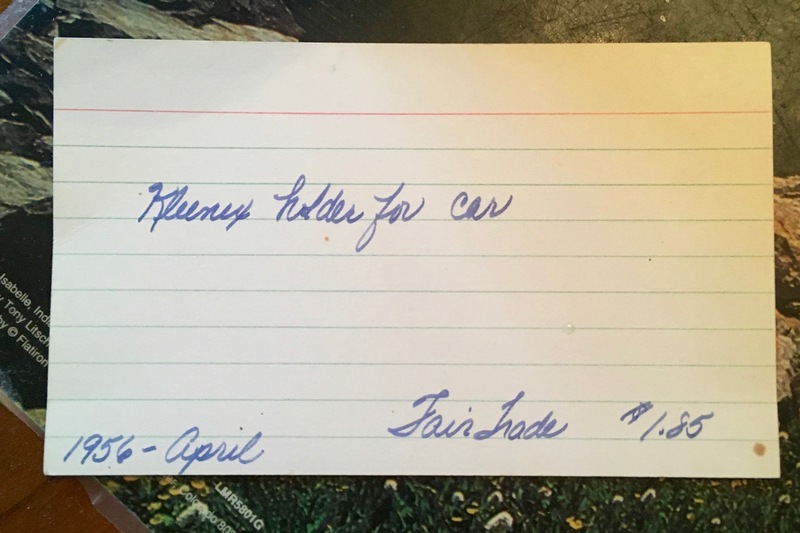 One of my favorite card catalog entries was a Kleenex holder for the car bought in April 1956 for $1.85, when my friend was 4 months old. (We’re both now over 60!) I’m guessing it was an elaborate Kleenex holder because in 1956 that was a fairly hefty price for such a modest item! My friend seemed keen on me taking an item as a memento of her childhood home. She suggested something she referred to as a candy dish. I took a look and suspected it was a butter dish. She pointed out that today’s standard stick of butter wouldn’t fit in it. I pointed out that if you buy Kerrygold butter, it is the perfect shape. She still had her doubts. Then we pulled the dish off its shelf and were able to identify it based on the diagram that was written on the shelf paper! I was right—it was a butter dish. 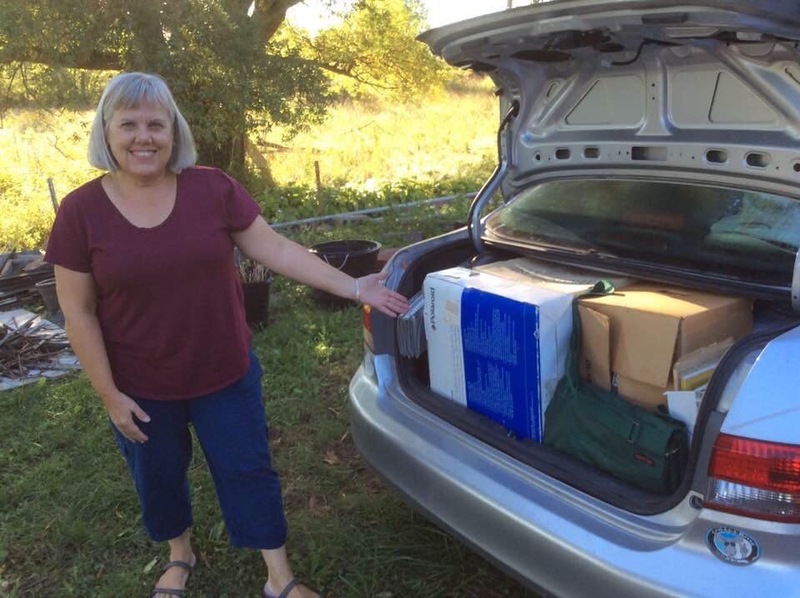 Her mother’s desire to organize and catalog everything solved the mystery! A place for everything and everything in its place! Her mother took every care to make sure things were organized. 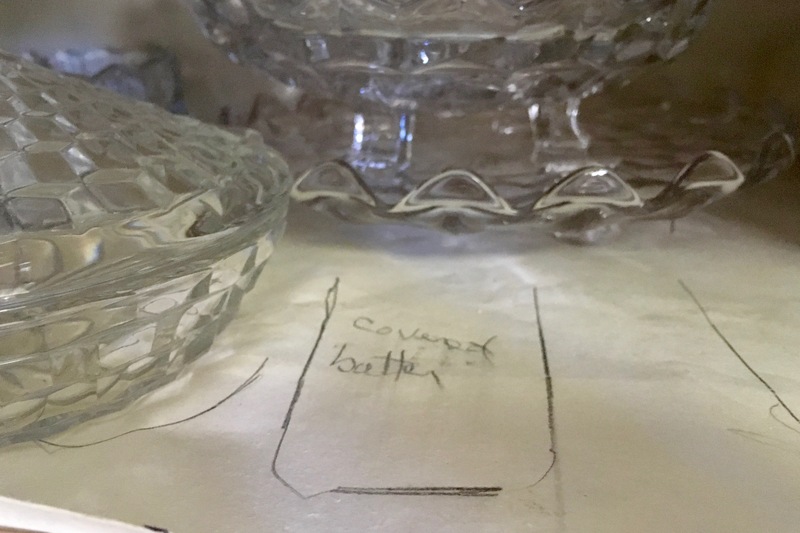 Note the penciled outline and labeling for a covered butter dish. I now enjoy the use of the dish—especially when storing a block of Kerrygold butter. Then we came across an unusual item. 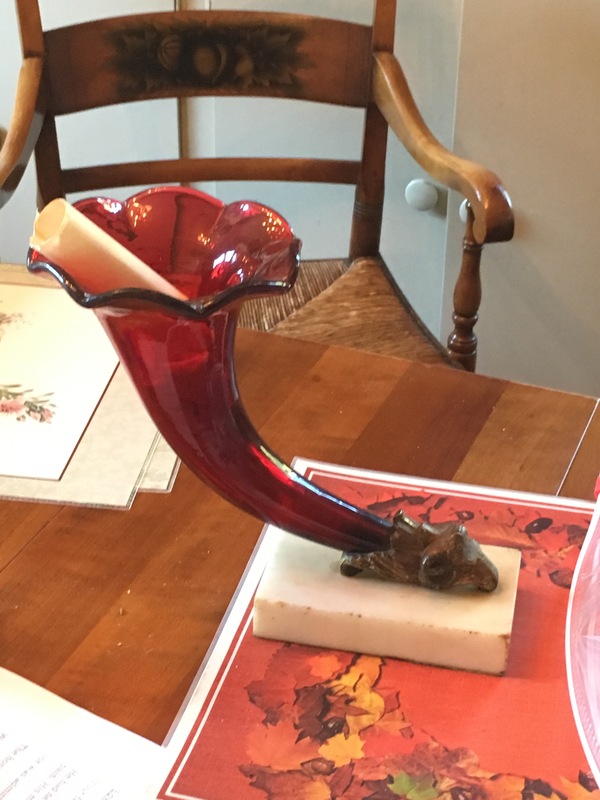 It looked like a cross between a cornucopia and a gramophone speaker crafted in ruby-colored glass. We were pretty sure it didn’t serve as much more than an objet d’art or fancy paper weight, but were also fairly certain it had some value. I wondered if we’d learn anything more about it. But of course we eventually came across a paper that explained it. I wish I’d photographed it because I don’t remember the details. I believe it was originally a great aunt’s. 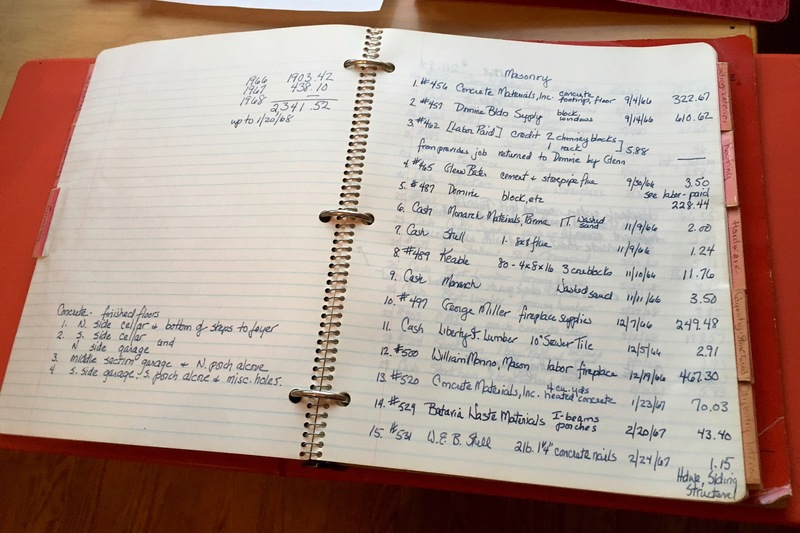 Her mother had the item’s value estimated in the 1970s by an appraiser in New York that is no longer in existence—it was a company that had been acquired by Sotheby’s. We were correct in assuming that it cost more than the average paperweight, though I don’t remember how much more. I spent the night in her childhood bedroom and spied a 1950s Singer sewing machine set up on its official sewing table. I confessed that it was something I really may be able to use, as I’d sold mine before I moved to New Mexico. 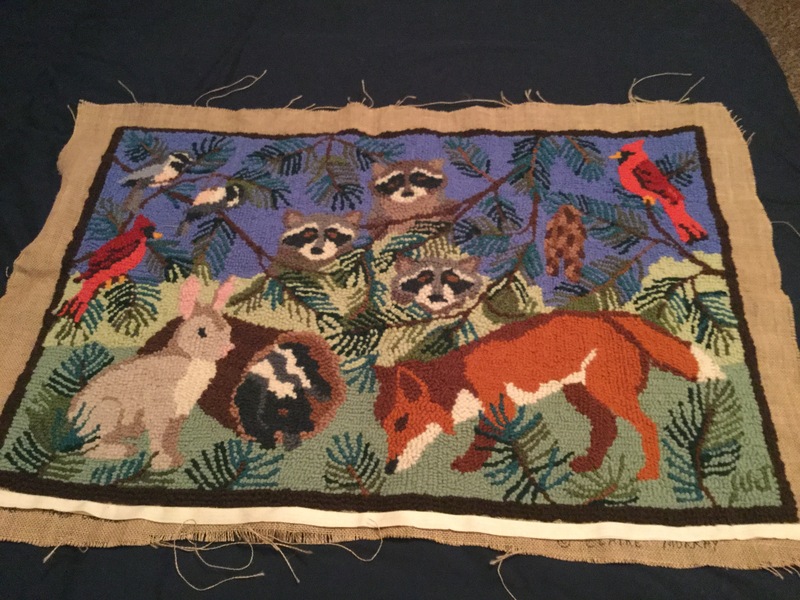 I’d made a small hooked rug and needed to sew a backing on it. My mother had a machine, but I knew I’d be moving to a different town. I knew I couldn’t fit the table in the car but I had the perfect space for the sewing machine. And I knew it’d work on any table. It ended up in the car with me headed for New Mexico. The rug was finished in 2014 or 2015—I can’t even remember when. Since it has a forest animal motif I thought I’d like to put it in the place in Vermont. Last summer I tried to finish off the rug using an old machine of my mother’s that my niece now has. I was not happy with the results. Could not get good enough tension to sew the binding. Do you guess I managed to get it done over the winter in NM?! Guess again! (Paid work really gets in the way of the important things in life) Looks like the machine may be traveling back to Vermont with me. Since the Brockport home was sold over the winter, its matching table was sent via parcel post to New Mexico. I guess my friend and her brother could not bear the idea of the two items separated. So the table may now be going to Vermont with me as well! 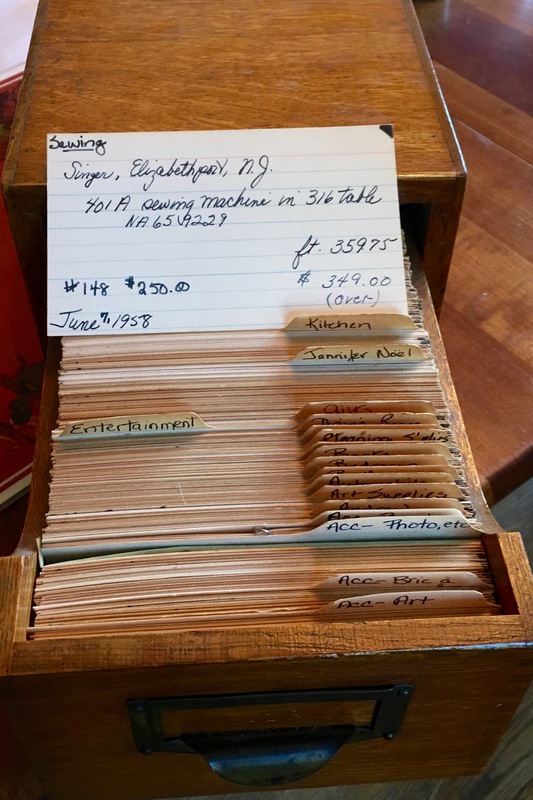 I was happy to find the card from the card catalog that had the sewing machine history. Apparently a deal was made to get a zig zag attachment for the machine by trading in an even older machine that had been owned by my friend’s grandmother. And I’m happy to know the machine got a tune up on Sept. 11, 1987. Maybe I’ll get good enough tension on it to finish off my binding. 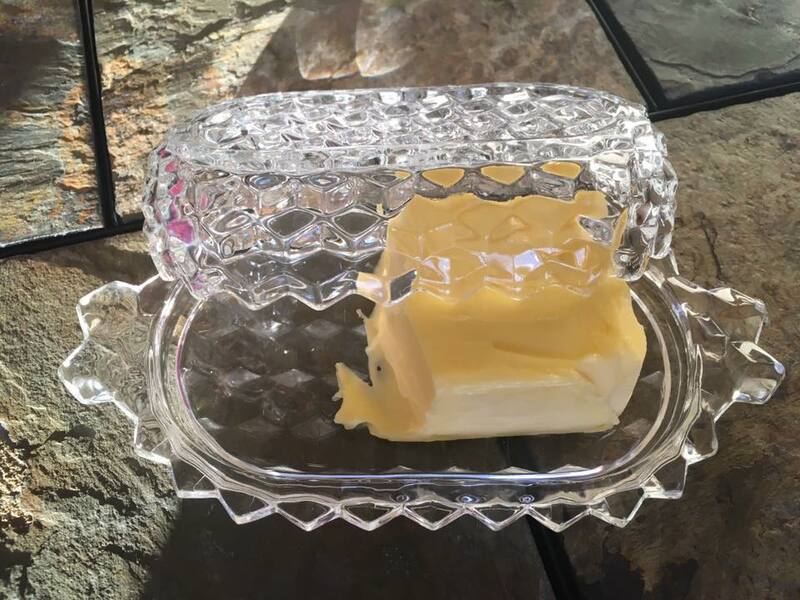 To make sure that my butter dish souvenir would survive its trip west, my friend wrapped it in a towel and placed it in a plastic bag. But not before providing a label so I would remember what it was. What’s that saying about the apple not falling far from the tree? I am one direct communicator who loses her mind when she feels like she’s playing a guessing game. That is probably one of my challenges living out West where everyone insists on being verbose, friendly, polite, and indirect. Can’t they all just get to the point?! Perhaps I sometimes get to my point too fast. I’m working on it. I love comparing notes with my friend who grew up in Albuquerque but lived for stretches in the Northeast. We know each other from being in the Peace Corps in Paraguay. We both have similar regional experiences (have lived in New England, New Mexico, Spain, and Paraguay) but have seen them from completely different perspectives. She grew up in Albuquerque, and attended Swarthmore College in Philadelphia. I remember when I met her in Paraguay she told me how she felt claustrophobic in the East—she wanted to climb up to the treetops so she could see where she was. There were no sweeping horizons nor ability to see for miles. She felt like an alien to people in Pennsylvania. Would be asked the classic question of New Mexicans: Do you need a passport to travel home? It wasn’t an easy cultural adjustment, but she graduated. During her time at Swarthmore, she spent a semester in Madrid, acquiring a Spanish that would later have to be adapted for working in Family Practice in New Mexico. She went into the Peace Corps, attended medical school at UNM in Albuquerque, and did her residency in Bangor, Maine. 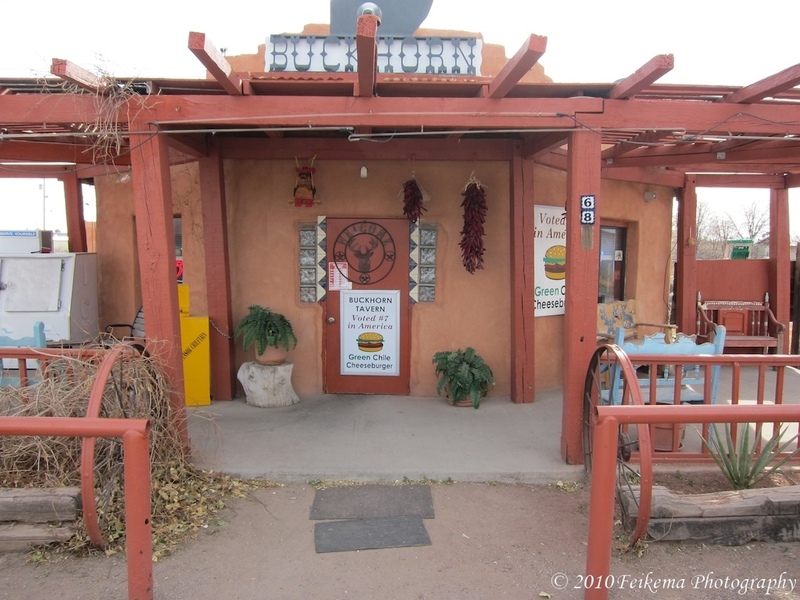 She then returned to New Mexico to practice Family Medicine in Silver City, a place I have not yet visited, but which I understand is very charming and off the beaten path. She now practices back in Albuquerque. She talks about how much slower the pace is in Silver City than it is in Albuquerque. You don’t just walk into a store and ask for what you need. You chat up the clerk, talk about the weather, the family, and the current goings on in town. Then you get to your business. She says to me, “Now isn’t that a more pleasant way of doing business?” You can imagine my thoughts on that—especially how I felt a few years ago. Now I’m realizing it may open up a lot of interesting opportunities, like my adventures with a furniture repairman. I grew up in greater Boston, attended Wells College in upstate New York, and spent a semester in Sevilla, Spain, where I could barely understand the Spanish spoken there after having studied it for 6 years! It took a month to adjust to the Andalusian accent that migrated to the Caribbean. Mexican Spanish is so much easier to understand. She and I both agree on that one. I subsequently lived in New York, Boston, and was a commuter to the Chicago area for five years. My natural pace of life is decidedly faster than that in Silver City. My ex-husband, who was from Maryland, was a soldier at Fort Devens, Massachusetts when he first arrived in New England. He and his fellow transplants thought people from New England were not very friendly. Loved exploring Boston and the area around it, but didn’t get why people weren’t more talkative. I explained it’s an old Puritan value. You respect people’s personal space by not sticking your nose in their business and asking personal questions! After living in the area for a number of years, when he traveled to California on business, he couldn’t understand why people in the Store 24 wanted to chat him up while he was buying gum. He was beginning to think like me: can’t we just get this transaction done?! 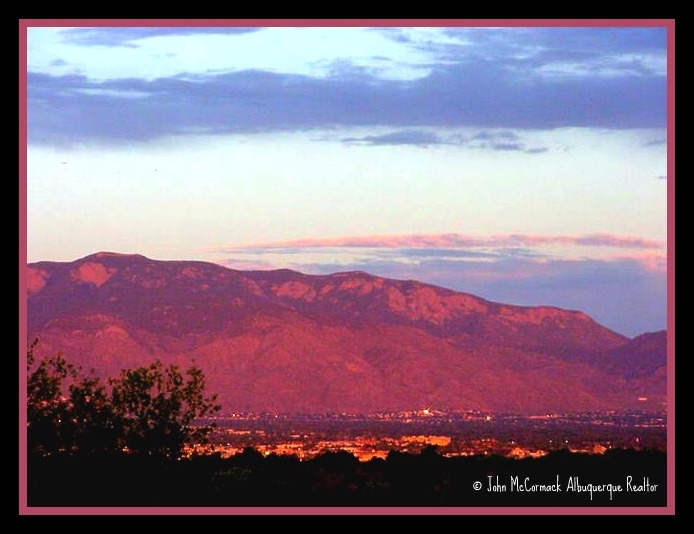 My friend in Albuquerque believes there are two types of people—those who need mountains and those who need water. I understand the water part. I grew up living two blocks from the ocean and we had a neighborhood beach. I could probably live without mountains, but they seem to be growing on me. 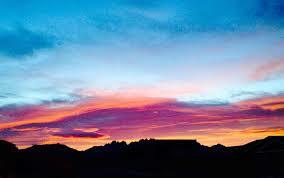 She can’t live without the watermelon-colored sunsets of the Sandía Mountains. 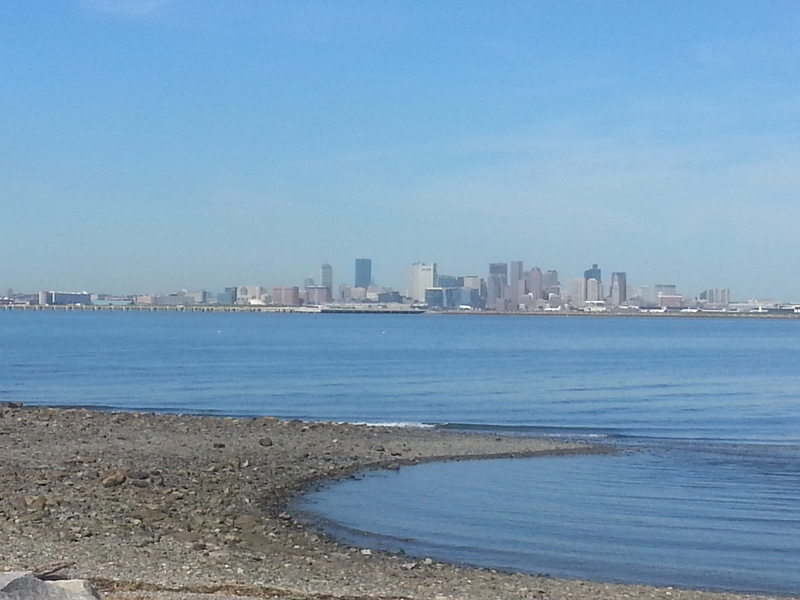 Looking across Quincy Bay at the Boston skyline. This is not all that different from the view I had from our neighborhood beach. Prepared for a ride on a river anywhere anytime. So I said to her that there is no place quite like the Champlain Islands. 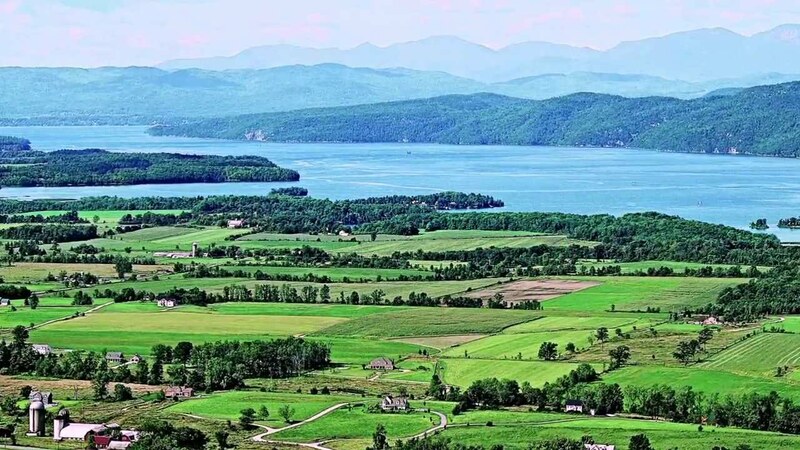 They have it all—farmland, water, and mountains. According to her, the Green Mountains are just hills. But I personally think they are gorgeous ones. I will admit that the top of Mt. Mansfield, which is the highest peak in Vermont, is actually lower than the altitude of Alamogordo, which is in the Tularosa Basin. In other words, it’s in the lowlands of southern New Mexico, which are surrounded by a few mountain chains that rise to 8,000 feet. The beginning of the Rockies. The first time I saw New Mexico I couldn’t get out of my mind how brown it was. That was back in 1983 when I visited my friend for the first time in Albuquerque. I even felt that way about Colorado when on that same trip in 1983 I visited my friend who had moved to Greeley. Could not understand why people raved about scenery that was so brown. Especially after hearing so much about Colorado. To me the green of New England upstaged Colorado. 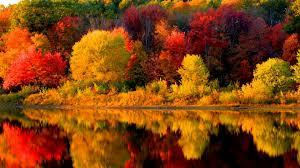 Not to mention the foliage of sugar maples in fall. 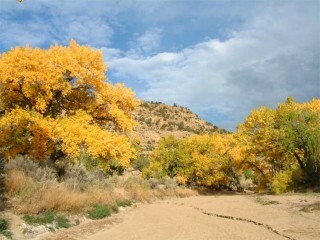 You can not compare a few cottonwoods turning yellow to that. Yes, you gotta put up with a lot of precipitation to get that landscape. But I think it’s worth it. Then my friend points out to me that in Albuquerque you can walk outside on a cold winter day, face the sun, and feel revived. She told me when she did that in Bangor, she got nothing. And there would be weeks when she wouldn’t see the sun at all, given persistent overcast, long work hours, and short days. And while there may be water and canoes everywhere, she pointed out there was also mud season. 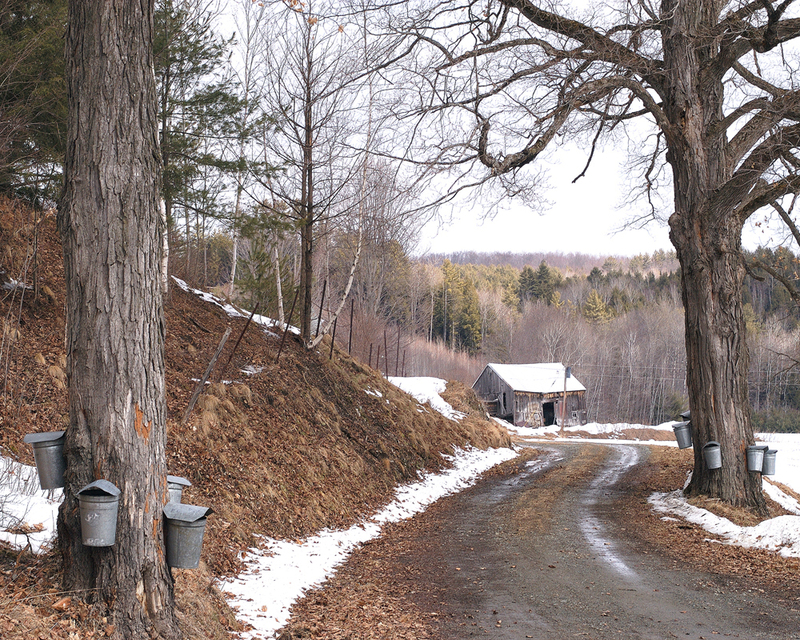 She says to me, “Mud season, what is that?” Mud season is also the season when the maple sap runs. It may be cold, wet, and messy, but it’s a delicious season! 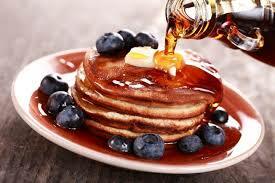 Enhanced with local blueberries – yum! 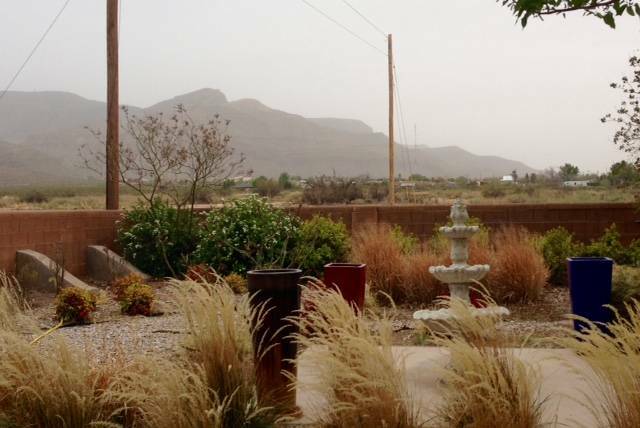 And I think to myself, “Wind season, what is that?” I am tired of dust that feels more like sand and collects all over everything in a day’s time. The wind sometimes blows so strongly that the roads have to be closed and they have to be surfaced with gorilla snot to keep the sand from flying around and obscuring drivers’ views. And then I experience driving through the desert with a full moon and it all seems worth it. There has to be a way to have it all. Hope I found it! 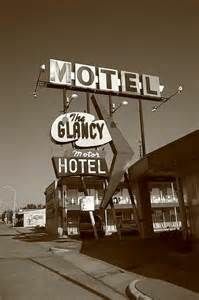 The desk clerk waved his arms behind me as I pulled out of the parking lot of the Glancy Hotel in Clinton, OK. I wish I had known that at the time. 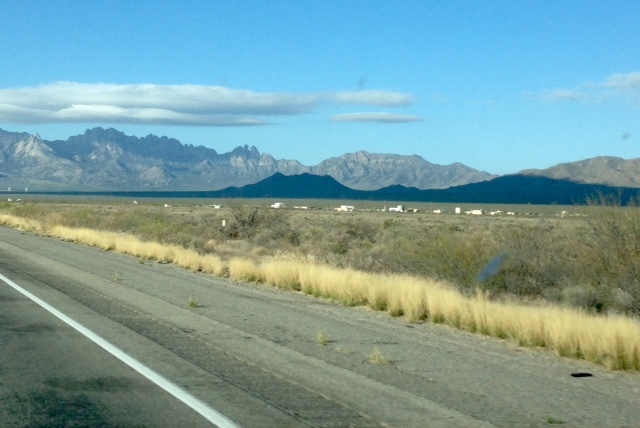 I had 8+ hours to drive before I would land in Alamogordo and I was not looking in the rear view mirror. (That’s a reference to Clinton… in so many ways.) I’d just spent another night in a cheap old—though clean—motel run by a family that had immigrated from India. Why did I do that … again? Hadn’t I learned my lesson?! Apparently not. Sadly I learned FOUR days later that the desk clerk had tried to flag me down —when I phoned the desk from Alamogordo asking if they’d found my driver’s license. I’d realized my license was missing when I’d stopped to get a coffee after walking about a mile on Sunday morning in Alamogordo in new sandals that had cut open or caused blisters on both of my insteps. I decided I’d walked enough, it was time to take a break, and while I was enjoying my coffee, perhaps I’d organize all the receipts from my cross country road trip—the ones that I’d never removed from my purse. That’s when I’d discovered my license was missing. I think most EVERYONE in Alamogordo has some church affiliation. 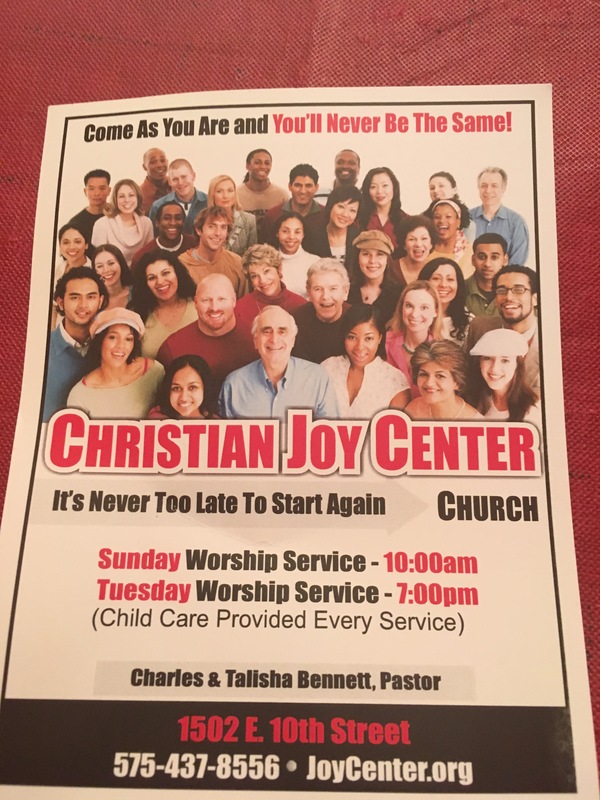 Do all the different Christians just try to poach from each other’s congregations? So I set up an account at Fedex and begin to arrange a shipment. Then I realize that the person at place of origin needs to write out the label, or print out one I send, and they have no Fedex packaging. So I call Fedex to ask how to best deal with this, since my guy in Clinton does not have the most proficient English. Would a driver put a label on for me? “Thank you.” I was tired of hearing her sound annoyed. If she wants a real reason to be annoyed, I could arrange a call by a guy I know in Clinton, OK. So I return to the Fedex website and poke around enough to find the link for arranging a return shipment. And within that I find the option for Ground Call Tag. Thank the good Lord I had some clue what the phone representative was trying to tell me. The shipment info requested the dimensions of my package. I assume it will be a legal size letter so write in 0 x 8.5 x 5 inches, which I think is the approximate size of that envelope. The amount ‘0’ is not allowed, so I put in a ‘1,’ which is the smallest it will allow. This is a very fat envelope. I also had to describe the contents, a driver’s license. Since it is Sunday, there is no Fedex office assistance. Which means it is considered to be Monday. And since I am arranging a Ground Call Tag, where the driver shows up with packaging and slaps a pre-printed label on it, they need 24 hours. So that means my license won’t be picked up until Tuesday. I also learn that the shipment option’s earliest delivery is a 2-day turn around, which means I will get my license on Thursday at the earliest, assuming nothing else goes wrong! I decide it’s best to alert my buddy in Clinton to the fact that the package will be picked up on Tuesday. Thank you very much! (insert sarcasm here) You can’t even afford to put it in a damned envelope?! He was so proud of the fact that he was carefully guarding my ID and would make sure no one else used it in any way. Did he ever think about the fact that my phone number was on my registration? (I have the carbon copy!) What if I never put it all together that it was at that motel where I left my license? Would it still be there years from now being carefully guarded if I hadn’t called? I had stopped for coffee on the way out of town—if he’d called he might have caught me while I was having breakfast! (But that may have cost him more than the stamp would have!) 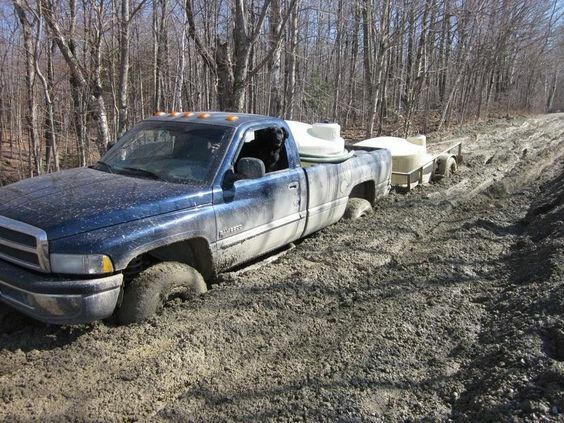 I suppose I should be happy he didn’t slip the license in the mail on his own initiative before I called. It has a Vermont address on it— the physical address, not the mailing address. But maybe that doesn’t matter, because I once had a package show up at my post office box even when it was addressed to my physical address in Vermont. I suppose it’s the benefit of living in a small town. And if that had happened with my license, it should have been forwarded to Alamo. I’d maybe have it by November. So now I am faced with 4 more days with no license. So what do I decide to do? Print out a paper copy! Such is the curse and blessing of Facebook! I just got this license in August from the state of Vermont. And I was so proud that it was an “enhanced license” (which means I can travel across the border to Canada and Mexico with it, without a passport), that I took a picture and posted it on Facebook. 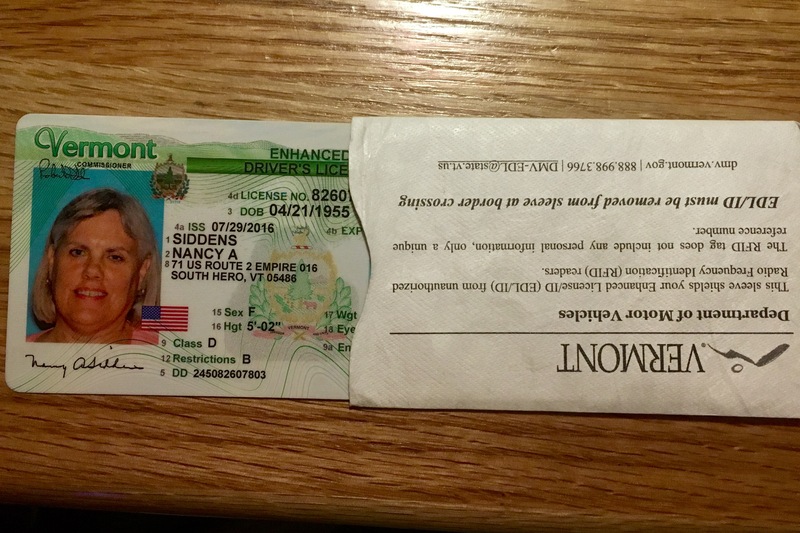 Well, it wasn’t the entire license—just half of it sticking out of its protective sleeve. But the picture was definitely me, and it was definitely from the state of Vermont, even if the actual number was only partially visible! 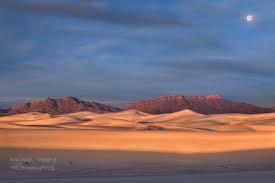 I need to make one trip to Las Cruces in the next 4 days. What if I print that out in case I need to show it for any reason. Twice I’ve been stopped at random road blocks checking for drunk drivers. Would a cop believe my story? He may get bored and let me go before listening to the whole thing! This made me think about a conversation I had with neighbors in Vermont about their friends who traveled in a $200,000+ motor home, but when they did they stayed in Walmart parking lots for free with no water or electrical hook up. They had informed their friends that if they wanted to travel with them they would be renting campsites so they had electricity and water. I had shared a story with them about my stay at an Indian-managed motel on my trip east in the spring. All I wanted was a bed for the night. I didn’t need anything fancy. Would just like to crash at a place not far off the main road. So I found a place in Henrietta NY on a Saturday night—the last night I would spend on the road before I arrived at my place in Vermont. In my defense, this was SUPPOSED to be a Days Inn, which is a chain I thought would be reasonable. I even looked it up on Tripadvisor, which gave it mixed reviews. But enough of them were reasonable, and I only wanted to crash for the night. I arrive to find a motel with multiple buildings, and a swinging country bar next to the check in desk, which was all ready for a Saturday night. So she did. But she didn’t know how to enter the room change into the computer. Long story short (at least this part of the story is short! ): At 3AM someone who had a key to my room tried to enter while I was sound asleep. I quickly bolted upright and screamed to get out. Luckily I had the safety latch on at the top of the door, so they could only open the door an inch or two. They quickly shut the door and took off when they heard me scream. I thought the hotel was full for the night. Were travelers actually stopping at 3 AM? 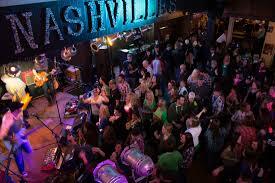 Or did someone get lucky down at Nashville’s and try to check in, where the desk clerk THOUGHT the room I was in had not been taken. All because the clerk on duty when I checked in could not figure out how to enter the change in the computer! This event came to mind as I settled into my room at the Glancy in Clinton, OK. This was a true motel, where you drive up and park right outside your door. The room entrances are accessible by the public. So as I settled in for the night I shut my door, found the deadbolt, and locked it. However, there was no safety latch at the top of the door that would prevent someone with a key from entering. So I propped a chair against the door in case there were any room mix ups, which luckily never happened. 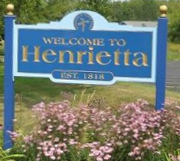 So as I finished up telling my Henrietta NY story to my Vermont neighbors, they told me I really should consider staying at more reputable places. And I agreed. But somehow neglected to follow this advice I enthusiastically agreed with. When will I start thinking like an adult? I’m now working on my new mantra: No more cheap Indian motels! 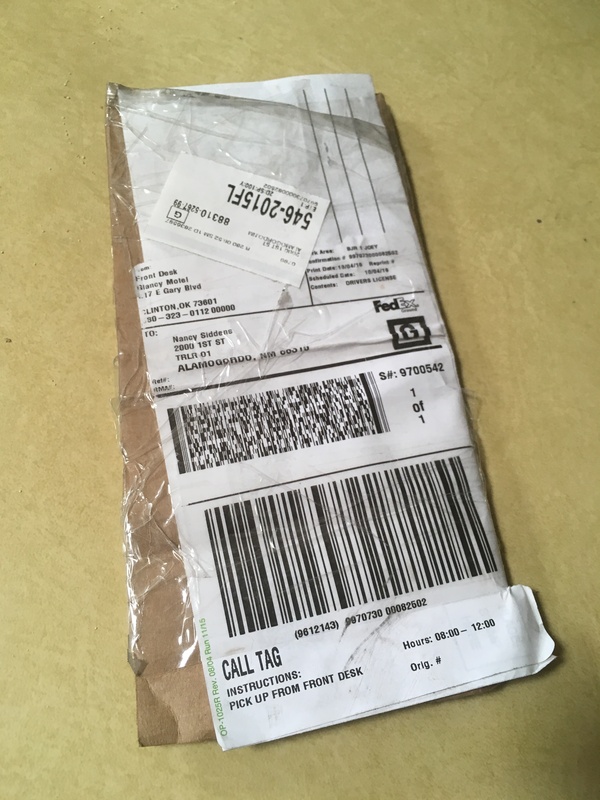 When I arranged the FedEx pickup that Sunday, they provided me with a tracking number, though it wasn’t operational until Tuesday morning after they’d picked up the package – 9:30 AM. Several hours later I got a call from the manager of the Glancy. He wanted me to know that my “package” was picked up and offered me the tracking number. I told him I got it on Sunday. At this point I could actually follow my license’s progress! And it looked pretty good. By the end of the day it was in the Dallas area. And the original Thursday delivery date was moved up to Wednesday. Could the shipment actually be going smoothly?! I log on again Thursday morning to find it’s in El Paso! And shortly after it is noted that it’s on a truck out for delivery. It’s less than two hours from El Paso to Alamo and I need to drive to Las Cruces at 3:00. Will the license actually make it in time?! At 1:30 I walk to the mailbox to pick up mail, only to find that they are resurfacing the drive around the complex. I can not get to the mailbox without walking over sealant and have to duck under a roped off area decorated with warning flags. It occurs to me that a FedEx truck may not be able to get to my house. Now it’s quite possible that FedEx will figure out that the package can be left at the management office out on the main road. However, it’s Thursday and the office will be closed at the end of the day until Tuesday. And in that time I have to make 2 more trips to Las Cruces. How many times do I risk that trip with no license? I call the office to explain that if FedEx delivers to their office after 3:00, they’ll then need to drop the package off at my place so I’ll have it before Tuesday. They agree. So not even FedEx was willing to put it in their own packaging! 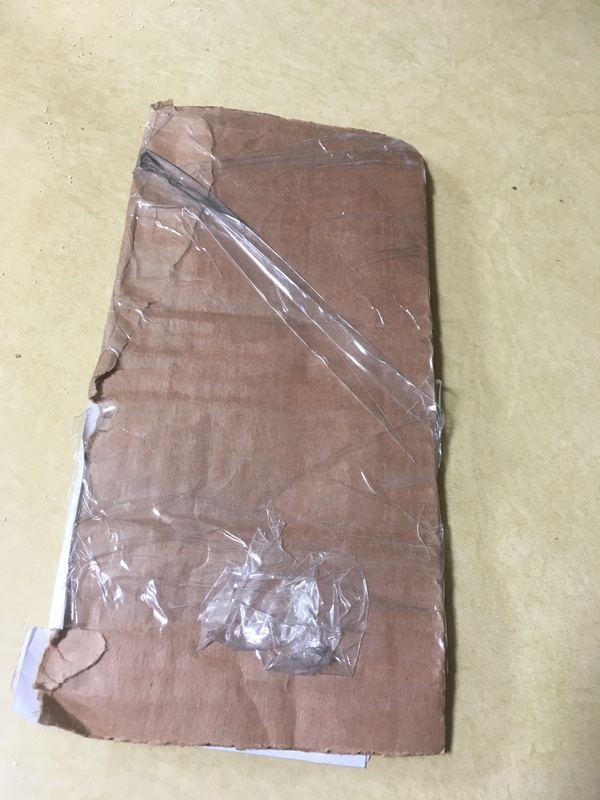 When I tried to open it I saw that it was a legal size envelope with a FedEx label completely covering one side of the envelope. 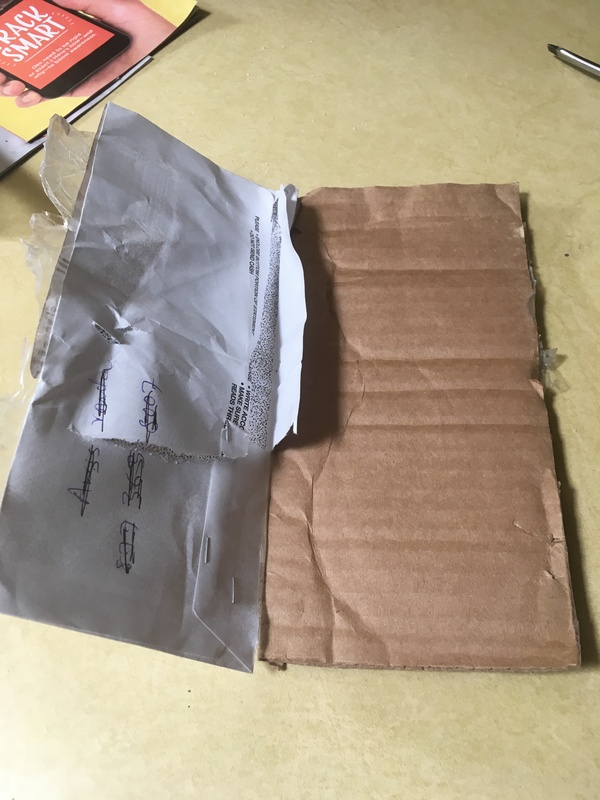 In order to keep it firm, a piece of cardboard had been cut and attached to the back of the envelope. And the entire thing was wrapped in packaging tape! Getting my license out of it was like performing the feat of an escape artist! Just call me Houdini. 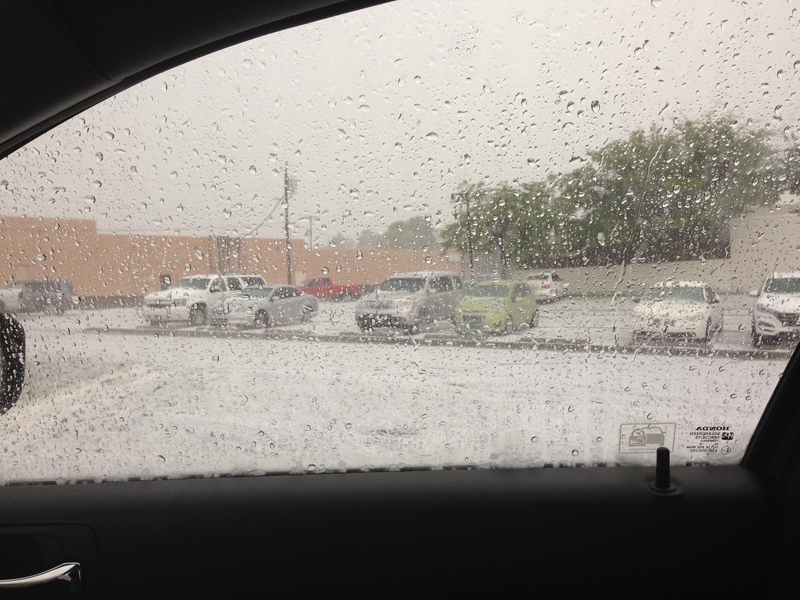 I’d just left the dentist’s office and was glad I made it from the building to my car without getting totally drenched. 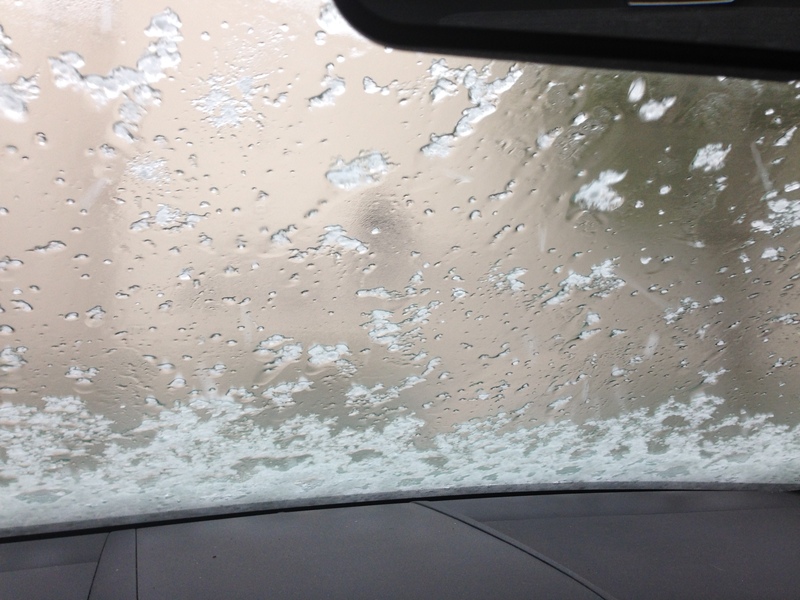 I hadn’t anticipated the degree of falling hail I’d soon experience. Luckily it began before I left the parking lot, so I decided to sit and wait until it was over. I didn’t realize it would be falling heavily for 15-20 minutes. As I sat in the car I felt like I was inside a factory where a nonstop jackhammer was operating. It felt as though the car was being riddled with several rounds of machine gun bullets. I was concerned the glass of the windshield might break. 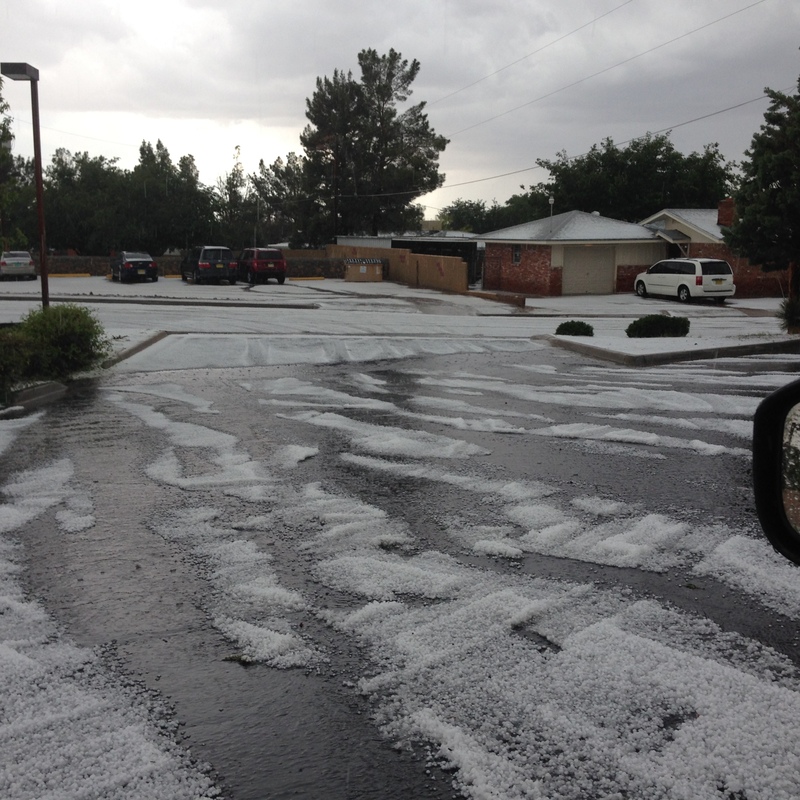 It appears that Las Cruces was the epicenter of this particular storm. By the time it ended, there was about an inch of what looked like snow on the ground. 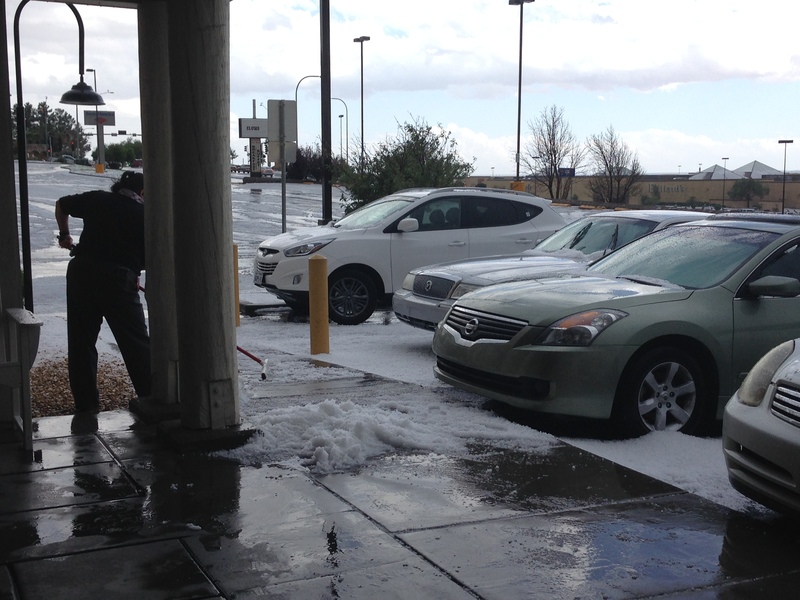 However, that “snow” was actually dime-sized hail. It seemed like ball bearings made of ice had been dumped all over, and I mean ALL over, just like a blanket of snow. This precipitation made leaving the parking lot interesting. I exited by driving slowly and carefully through another vehicle’s tracks, took a left onto the side street, and as I approached Missouri Ave, where I needed to take an uphill left onto that main road, I could see a few brave (and stupid) drivers plowing through a river of water that reached beyond the bottom of their door frames. Most of them were driving SUVs or trucks. I was driving a Honda Accord. I thought of those warnings to stay out of rushing water in order to avoid being swept away in a flash flood. As I neared the intersection I decided I’d be better off attempting to get out of the neighborhood using a different route and quickly took a left directly back into the parking lot through another driveway. On my second attempt to exit I took a right and another right directly into a cul de sac. How do you get out of this ‘hood? I drove around the cul de sac and took a left back toward my original route, only to chicken out once again as I saw another SUV slosh through the river of water on Missouri. I knew that this particular block of Missouri would be off limits for my Accord for a while so on my third exit from the parking lot I took a right for the second time, planning to drive farther than the one block that gave me the option of a cul de sac on the right and a dead end on the left. Up ahead I saw a school bus dropping off kids with a few sedans waiting to pick them up. I planned to follow that bus out of the neighborhood. We took a right, driving uphill through some shallow rushing water. When we got to a higher point on Missouri the water was more like a small stream than a gushing river. Since I’d then be traveling further uphill, I figured things would only get better. And it did, although ‘better’ didn’t exactly mean good. Driving through this stuff was like driving through ball bearings made of ice, and I was now on a busy street with many drivers who weren’t at all used to driving through snow and ice. I’d planned to go to the end of the road and hang out at the Village Inn restaurant until the storm warning was over. I knew there was wifi I could use to entertain myself while I had some coffee. After driving a few blocks in the midst of some very skittish drivers I decided I’d rather not cross the main intersection in order to reach Village Inn. There was a Red Lobster on my right, and I was always curious about trying the one in Las Cruces. I turned into the parking lot and planned to have an early dinner. Being a New Englander, a chain restaurant with a lobster theme annoys me, but I’d actually eaten at one before and the food really was pretty decent. As I entered the restaurant, a woman was “sweeping up” the walkway near the entrance. 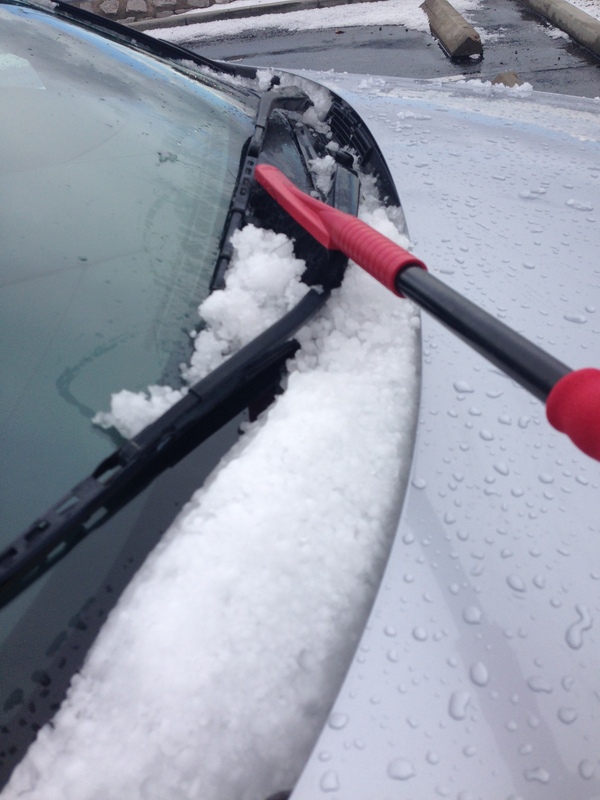 Once 5:15 rolled around and it appeared the storm had moved on, I left the restaurant, went to the parking lot, and decided it would be helpful to use an ice/snow scraper on my windows. Luckily I still had one in the trunk. I’m wondering if anyone else in town did! I drove the hour plus home to Alamogordo in and out of rain showers through and ominously black sky. I really hadn’t checked to see if there was any damage to my car. I was too busy trying to avoid walking through as much hail and cold running water as possible while wearing sandals and capri length pants! The next morning I took a look and it seems the hail was small enough that it made no dents. However, I did seem to have some fine scratches in the paint all over the car. What I heard that woke me up sounded like the soundtrack to a horror movie. It’s what I imagine La Llorona sounds like. 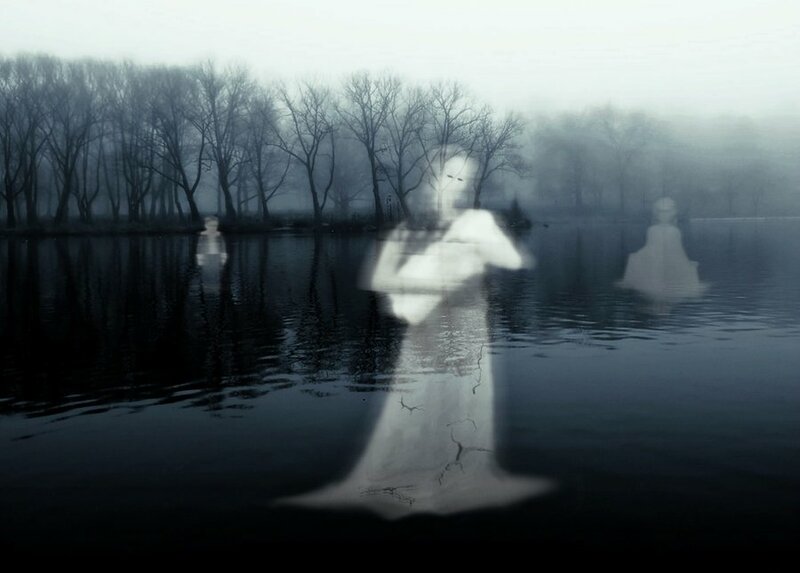 La Llorona (The Crying / Wailing Woman) is a character from New Mexican folklore – a woman who drowned her own children. Young kids are threatened with a visit from her when they misbehave. 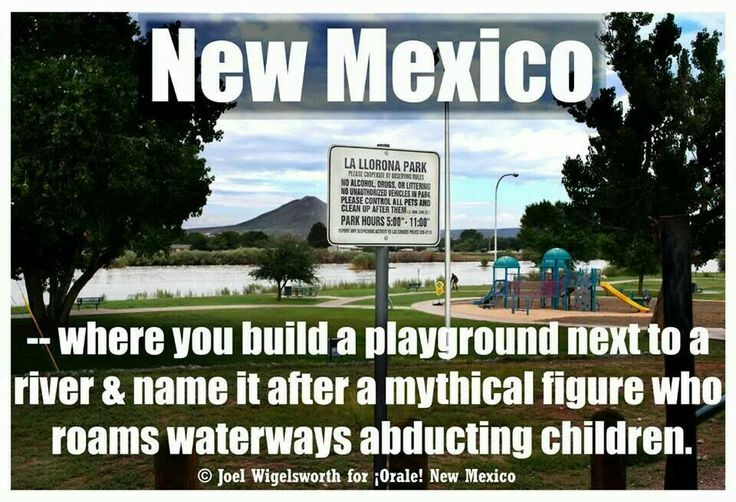 Ironically there is a La Llorona fiesta each year in Las Cruces, as well as a park named for her. Kinda like naming a park for the boogeyman. I had no idea there was a whole season dedicated to tracking the wind out here. 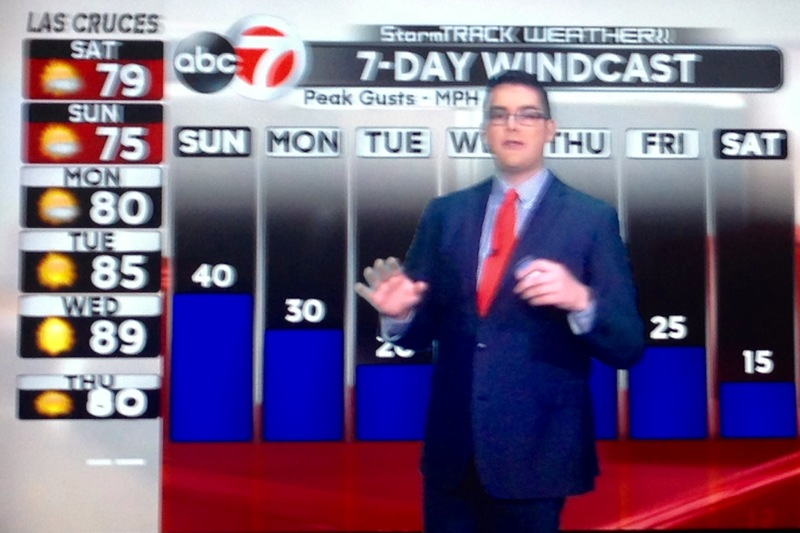 The weather forecast provides you with a 7-day windcast outlook each day. This started sometime in March and I’m told will last through May. This photo was taken in the late afternoon when the full sun should be shining on the mountain. What you see is not haze, nor mist, nor smoke from a wildfire. 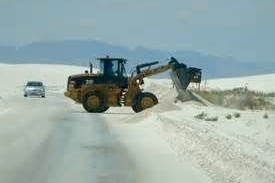 It’s gypsum sand being suspended in the air by the high winds. It’s the view from the backyard. 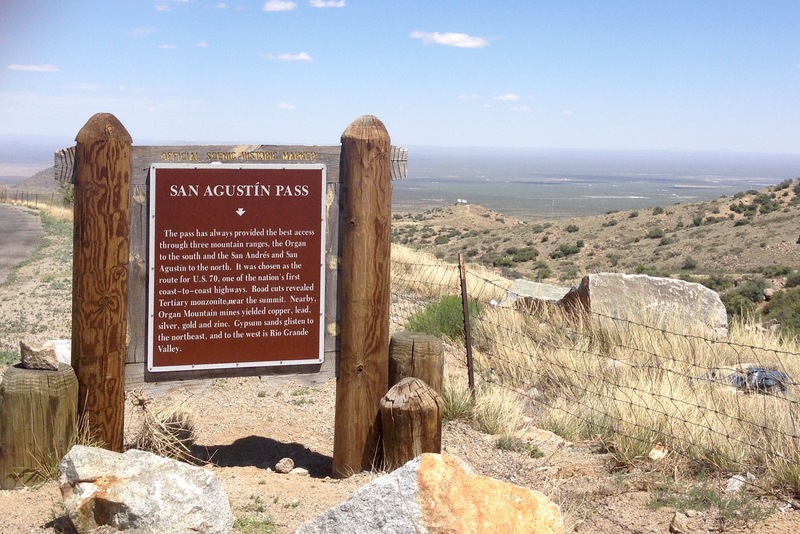 Every Monday and Saturday I drive to Las Cruces through the San Agustin Pass in the mountains, which peaks at around 5700 feet. The last time I did this I viewed a FIELD of dust devils off to my right as I emerged from the pass. 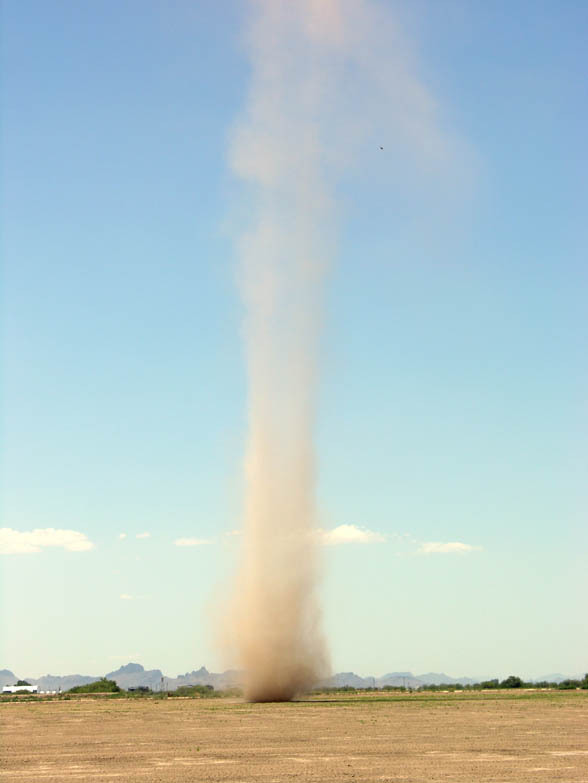 Dust devils are mini-tornadoes of sand that occur in the desert when there is a mix of hot and cold air. 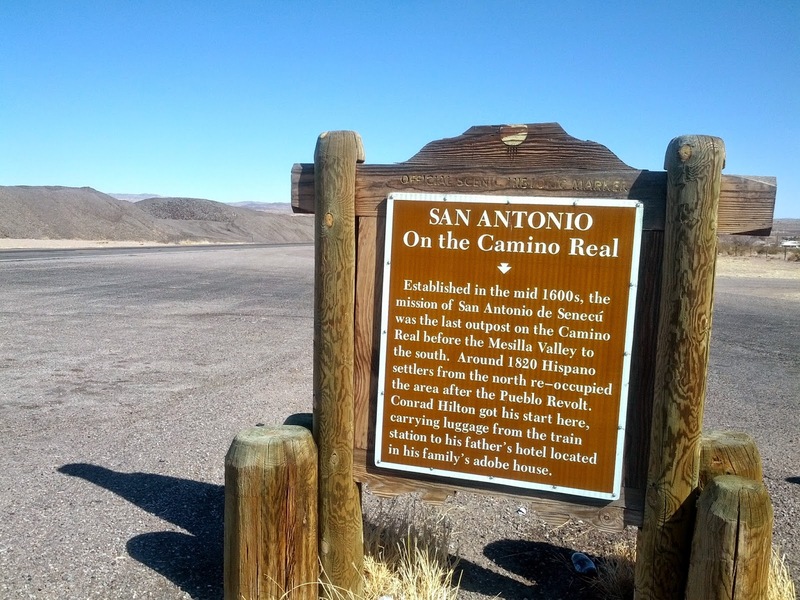 Each Monday night when I leave rehearsal in Las Cruces to drive back to Alamogordo through the San Agustin Pass, one chorale member says to me, “Drive safe. Don’t blow away.” More than a few times I’ve felt like invisible hands were trying to shove the car off the road. She told me the story of a guy who told her he thought he was going to need a change of drawers after he tried to haul a horse trailer over this pass one extremely windy day. The highest point of the pass is just above 5700 ft. This view is slightly beyond its peak heading east on the descent back toward Alamogordo, looking into the Tularosa Basin. One of NASA’s roadside rockets is visible in the background. 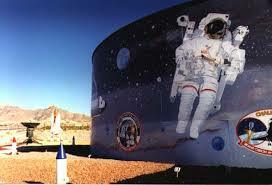 NASA directs the testing center of the White Sands Missile Range. The same chorale member told me that beginning in March you should keep your windows shut and don’t bother dusting for a couple of months. I guess I won’t be dusting again this spring, since I’ll be leaving in May. 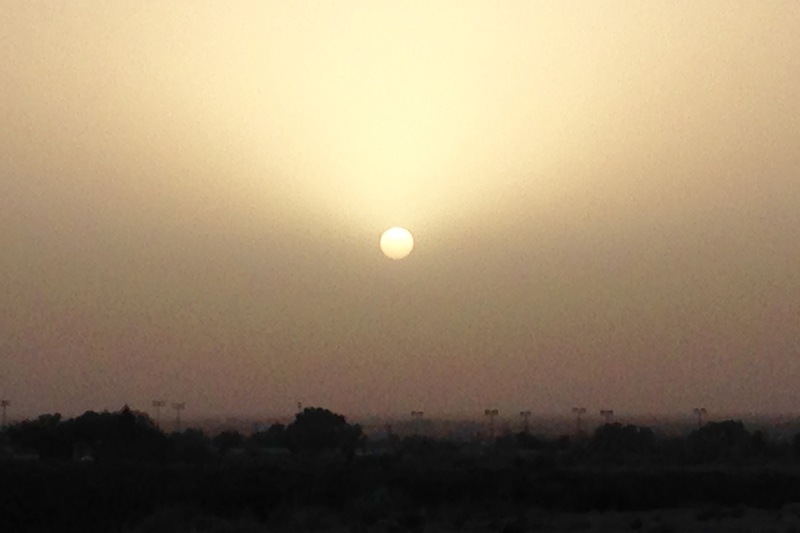 “Dust” does accumulate quickly. It seems more like sand to me – very gritty. I think most of it blows in through the windows or air vents. It appears there is no way to stop it. 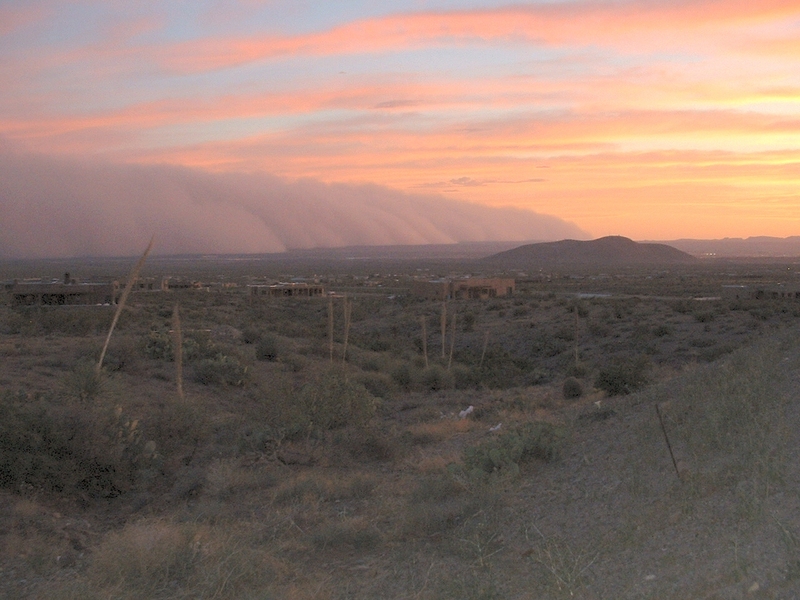 The desert winds can be so strong as to create a wall of invisibility that blocks surroundings by lifting sand and suspending it in the air. A 60-mile stretch of I-10 between Tucson and New Mexico was shut down for part of a day due to lack of visibility caused by the winds. A few weeks later, after multiple shut downs, authorities called for the use of a product called Gorilla-Snot to attempt to remedy the situation. 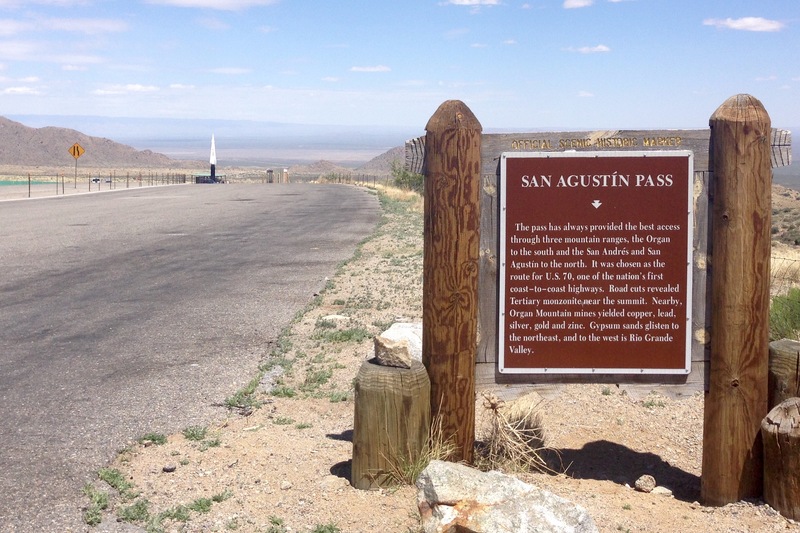 As you ascend the road going eastbound toward the San Agustin pass, you travel through the semi-ghost town of Organ. The “town” has made it into a book of New Mexico ghost towns, although there are still enough people there to justify a post office. There is an RV park and one bed and breakfast. 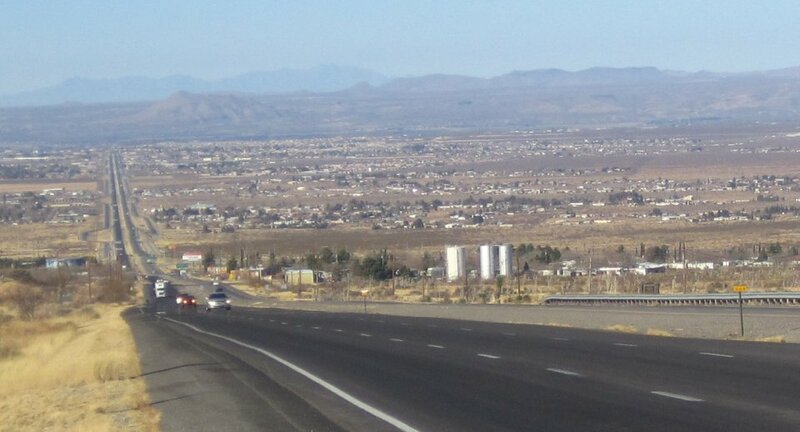 The view of Las Cruces is quite nice from here, if you can avoid looking at the abandoned buildings. 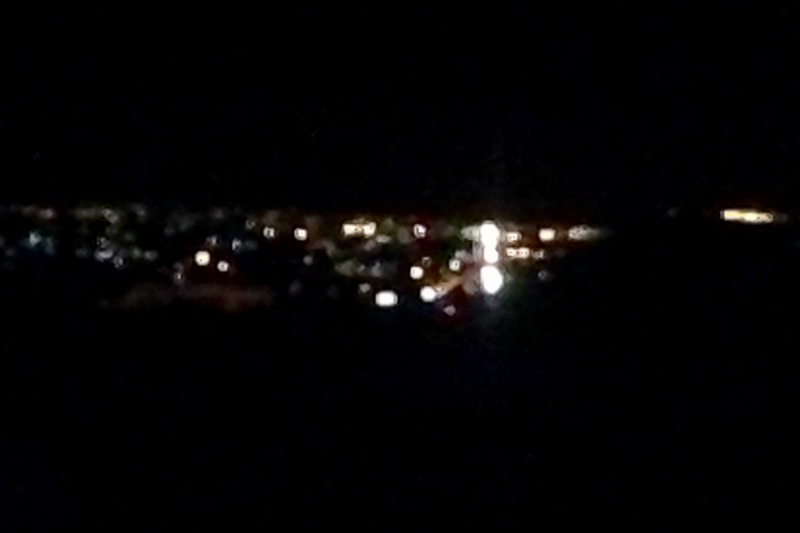 I especially enjoy the lights of Las Cruces from this vantage point in my rearview mirror as I drive home after dark. 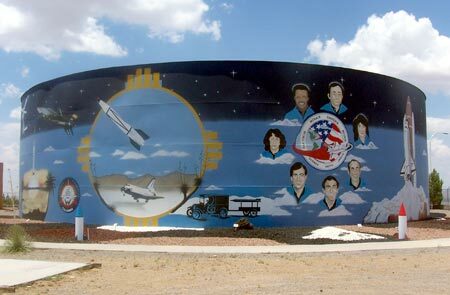 One of the Las Cruces water tanks is here – one that celebrates NASA and the space program with murals. 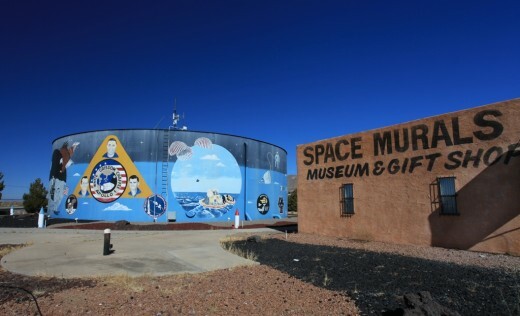 There is also a Space Murals Museum and Gift Shop, though I’ve seen so few cars parked there during the many times I’ve passed it that I wonder if it really still operates. Perhaps the winds have blown everyone into space. As I take my nightly walk along Scenic Drive I now contemplate air quality before I decide to go out. My great grandfather was a stone cutter who came to this country from Scotland to work in the Quincy quarries. He died of black lung disease. Given all the gypsum in the air here at certain times of year, I wonder how many people are at risk for dying of white lung disease. A gypsum haze found along Scenic Drive one afternoon. 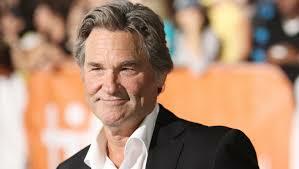 Ladies, please vote on the following pictures of Kurt Russell. Which Kurt would you prefer to kiss? I believe Kurt A is the usual everyday Kurt. 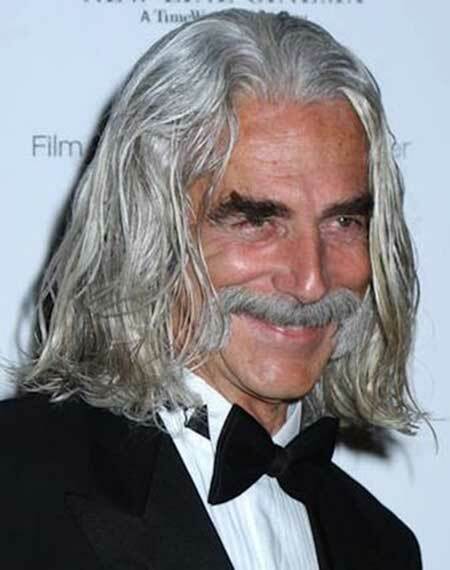 Kurt B is sporting the hair (and facial hair) that he grew to play a role in “The Hateful Eight,” a Quentin Tarantino western. 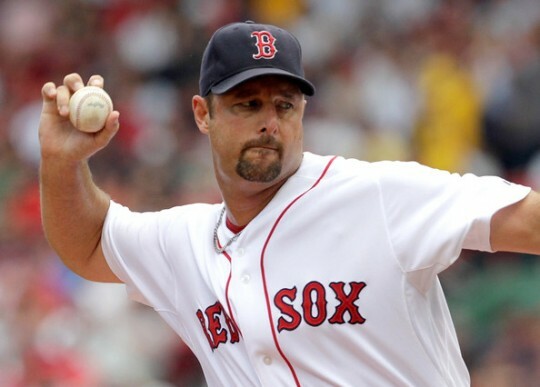 Well, Kurt B is not far from the current look of many men in the rural West. There is a particular breed of man endemic to these parts. One that takes pride in his ability to grow hair—facial or otherwise. 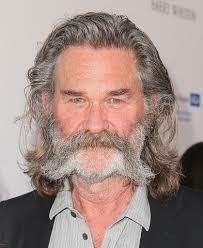 Over the years I saw every imaginable form of beard or mustache on this guy. To me none of them looked as good as his clean shaven face. He was a good looking guy! Why did he feel the need to hide that?! 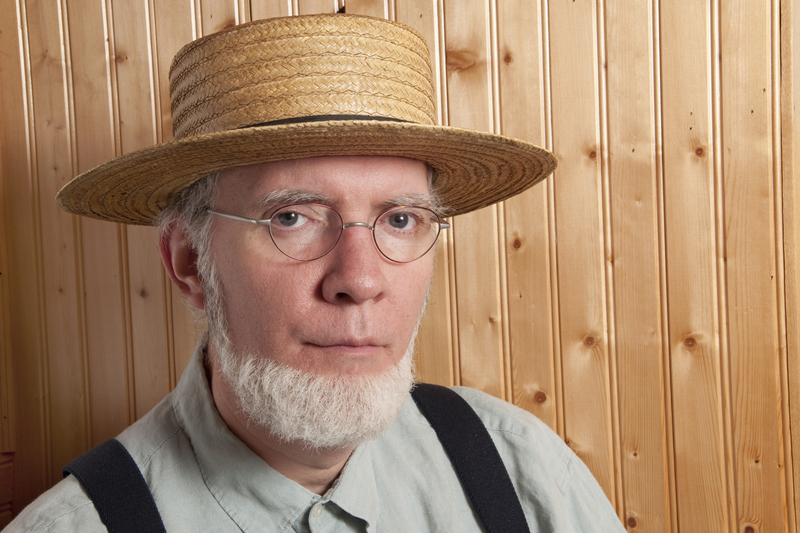 At first, because he felt his beard didn’t fill in well on his cheeks, he did the Amish thing, where he shaved out the sparse hair that did grow on his cheeks. 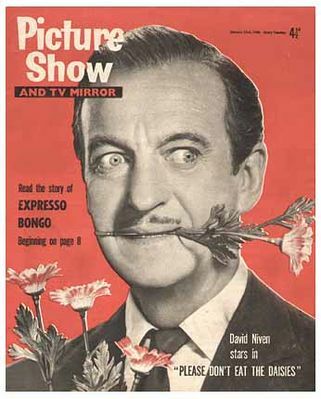 Then in an effort to thin out the ‘stache he went for the David Niven. When I came home and saw that one I think I laughed audibly. I feel a little badly about that but it was my surprise reaction to a completely unexpected event. I just couldn’t contain it. You need to give me warning when you do something like this. 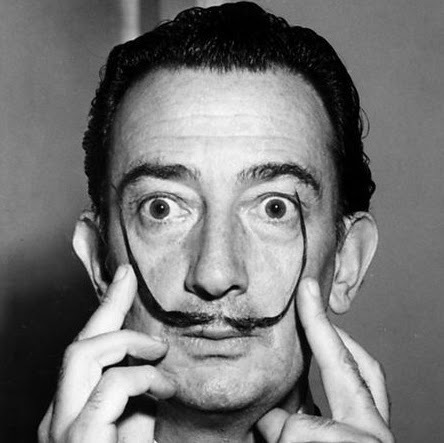 At least I never had to endure the Salvador Dali. 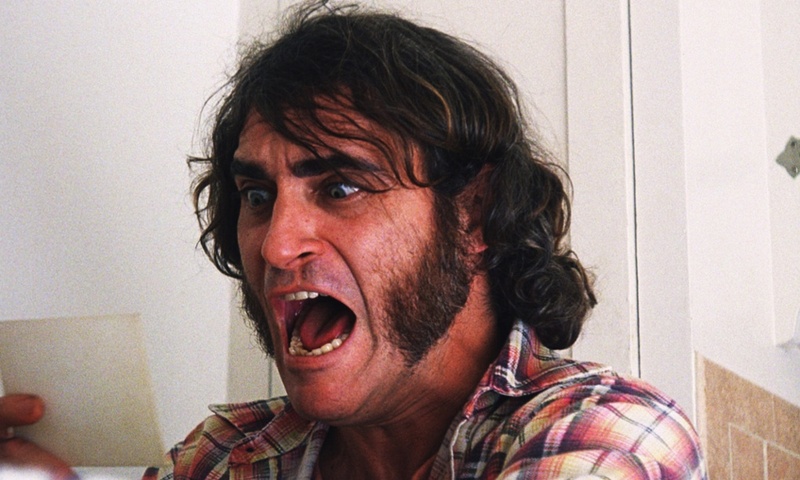 I remember in high school mutton chop sideburns were popular and I thought they were cool. What can I say? We all had bad taste then! My ex husband calls it the decade when good taste took a holiday. Now I’m not saying some men don’t look good with beards or other types of facial hair. I’m just saying, if given the choice, would you prefer to kiss a bristle brush or skin? Then there is the hair on the head. For the most part I prefer a classic cut, though my guy’s did get shaggy at times. He knew I hated long hair so there was only so far he could go with hair growth before I lost my cool. Once when I was dating in my forties, a friend asked me how a date went. My answer was “he had long hair.” She couldn’t understand my objection. I can kinda see how some young guys (well under the age of forty) may actually look good this way, but they are guys I never would have been attracted to, even when I was younger. Sorry, it’s a non-starter for me. Some guys can’t handle women with extra weight on their frame and I just can’t handle men with extra hair on their head! One guy tried to convince me how ridiculous it was that some guys shaved their heads. Send them to me! I can handle that much better than the hippie look that dates back to the 1960s! 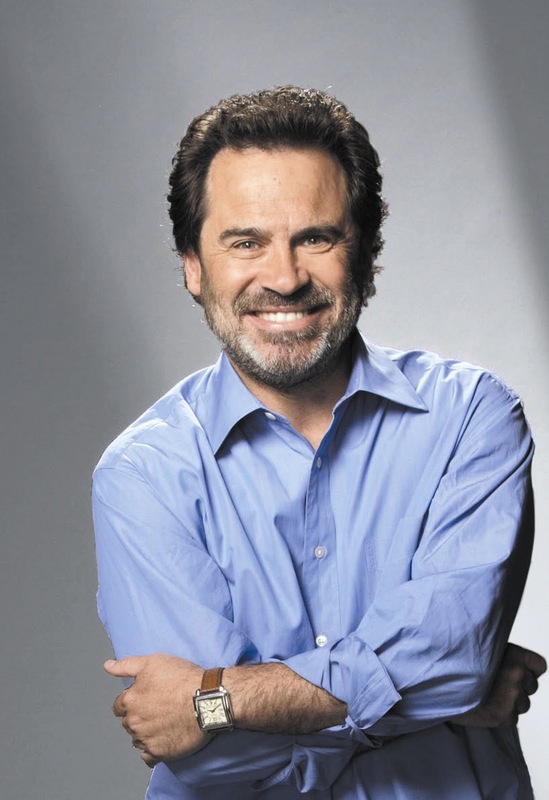 I think the only guy I ever found attractive with long hair was Dennis Miller. Back in the 80s during his time at SNL. I’m sure he was under 40 at the time and, in my opinion, he managed to pull this off. 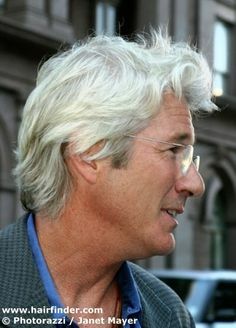 And even though older and greyer, I probably still prefer the short cut. Now we all know men are visual beings. My question is, do they ever actually look at themselves in the mirror? I had a young 20ish Japanese woman staying with me through Airbnb a few days after I returned from Europe. 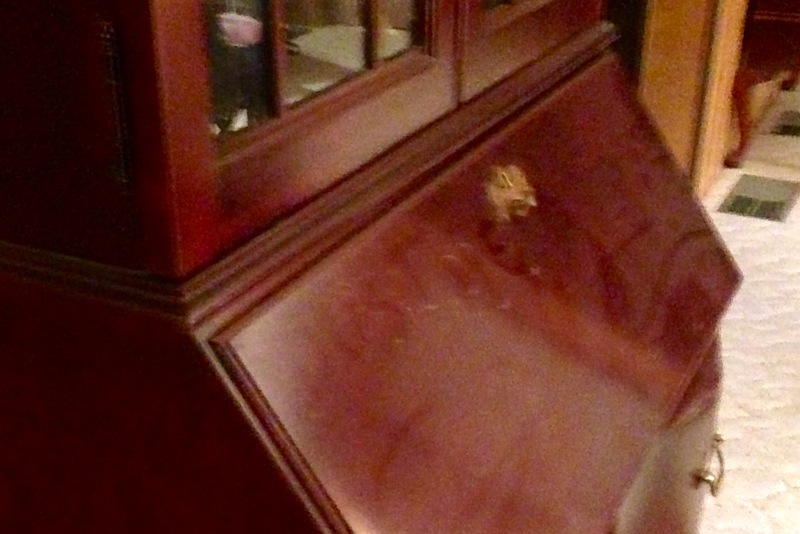 When she first arrived, a creature similar to the one pictured above was sitting on my couch. I wondered if she thought I took in the homeless. I was seriously concerned that she wouldn’t be comfortable staying with me. I told him he couldn’t come back til he cut his hair. At least that got him to a barber. 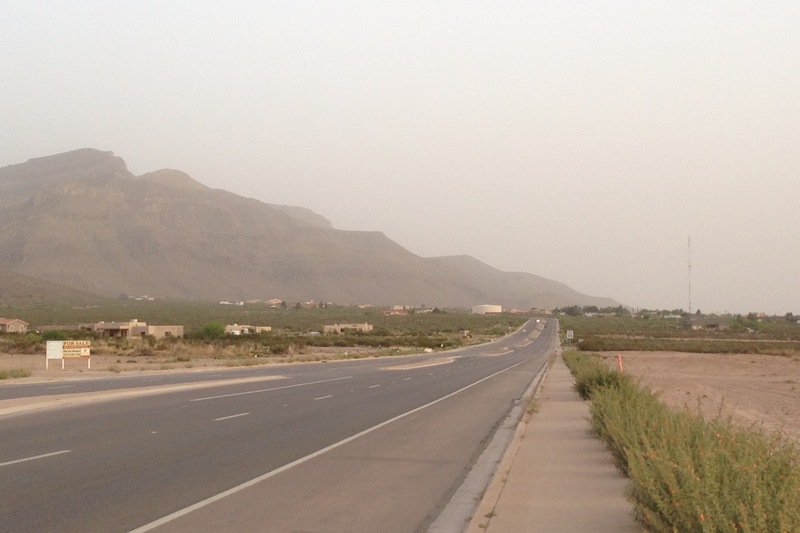 In Alamogordo I met a 65 year old widower who wanted a travel partner. He and his wife had done a lot of foreign travel and they’d hoped to do more in retirement. I kinda felt like I was on a job interview as he asked me what type of travel I preferred. 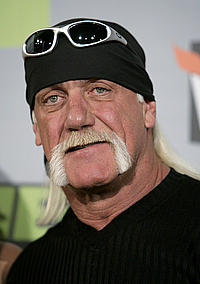 His mustache looked like this, no exaggeration. To me this is the look of a cartoon character. But isn’t that what wrestlers are mimicking?! 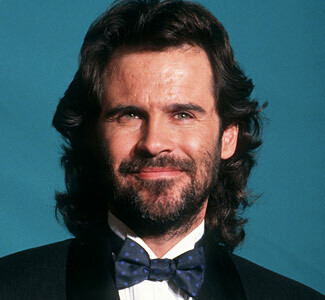 My guess is that he grew this look in his twenties when it was groovy. Since his wife knew him back then, it never occurred to her that he’d ever look any different. In defense of men, I’ve known women who haven’t changed their hairstyles since the 80s—and it’s obvious. I guess we tend to get into our comfort zones and stay there even when a change would do us good. 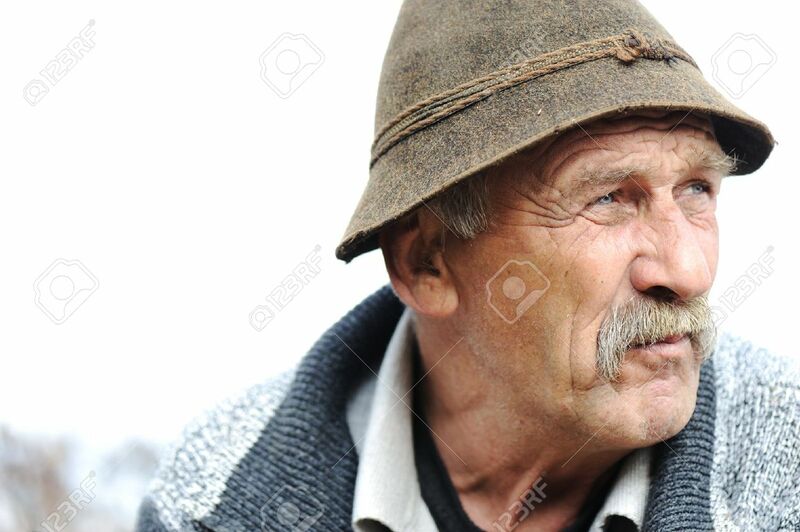 Back in the 1800s when guys rode horseback through the dusty desert for days, and water was scarce and soap even more scarce, it made sense to maintain a faceful of hair. But today we have plenty of electricity and water. Why can’t more of them simply look in the mirror and do the right thing? *My apologies to any of the guilty who may read this and recognize themselves. I tried to keep it anonymous, though I’m sure at least one person isn’t. And I’m pretty sure he doesn’t care. “Interesting I guess it certainly clears up my questions. Guess I have to listen better. I wonder what it is about the facial hair and guys, but it is obviously very comforting for most guys. Probably helps them hold in their true feelings or something like that (hide behind the beard). Seems the 1st thing many guys do is grow a beard after they get comfortable in a relationship. Then again thinking way back in my younger days I was called a cute looking girl by my mother’s friends—certainly another GOOD sub conscious reason for facial hair, and I had short hair then. My opinion is the facial hair gives an air of wisdom, character, and no doubt looks like a guy, not a girl. I also don’t believe shaving is good for the skin. I went through a series of ingrown hairs in the service where I shaved everyday. The electric shaver seemed to solve that problem. No, I don’t mind the blog. I get smarter with my mistakes even at this ripe age. Then again maybe the facial hair keeps the women away, and when in a relationship this is important. When I attend a professional conference I usually preview the presentations available and choose the ones that best apply to the latest jobs I’m working on. When I attended TESOL 2016 in Baltimore I was between jobs (that statement assumes that my last job wasn’t the last one I’ll ever have! )—so I had no urgent needs. My main objective was to give out business cards in the hope of finding an interesting writing job. So I decided I’d just go to whatever sessions seemed most interesting. Given that I’m in the middle of a cultural adjustment in my own life, the presentations that focused on culture seemed like they’d be the most entertaining. The same session played an edited version of a video called “The Danger of a Single Story.” It features an African woman who talks about her experience coming to the U.S. as a college student and having a roommate who was expecting her to be a poor, disenfranchised third world creature. This disturbed the African, who saw herself as worldly and educated. Then the African visited Mexico. Her image of Mexicans had primarily come from U.S. news sources—Mexicans were people who had little and were all willing to swim the Rio Grande to get to the U.S. for a better life. When she arrived in Mexico she found people going about their day-to-day life in a reasonably content way. She realized she had done to Mexicans what her roommate did to her—viewed them through a single lens. We were asked to share a time when someone made an assumption about each of us that was bothersome. I’d had this experience as a student in Spain in 1976, when Americans were not very popular after the Vietnam years. I still managed to win over most people that would allow themselves to get to know me. But the story I decided to share was a bit different. I described how my former mother-in-law thought I was a professional woman obsessed with a career, and she thought I had no interest in having children. She had no clue. When I met her son I was working in an administrative role doing intake interviews for pediatric psychiatry. It was not a professional position that required a degree in psychology or social work, though it did require someone with a brain and some sensitivity. I was pretty happy in this role—felt I helped people and got satisfaction out of what I was doing. And at the end of the day there was no work to take home. My free time was my own. It worked for me. It was my ex who kept telling me I was underemployed. (Probably true) Which made me feel like I needed to do something more. Which led me to publishing, which I don’t regret. But there was a lot more stress and pressure working in that field. And it put me on a path that led me in a different direction. If I was ambivalent about having kids, it was because I wanted to be sure I was with someone who was going to stick around to help raise them. And I’m no longer with her son, who left me two years after we married. I guess I dodged the single mom bullet. I grew up in a tight knit working class family. My grandparents lived next door. My cousins lived across town and visited every Sunday. Marriage and family were valued. I imagined those goals as part of my adult life. All of my cousins and my sister still live in the town where we grew up, or a bordering town, or within a radius of a few miles. I ended up in Cambridge—the city—a little more than 10 miles from Quincy. But it might as well have been a world away. I don’t regret it. It enriched my life in many ways. But my path diverged from my family’s life and it wasn’t one they necessarily identified with. I wasn’t the one bringing over grandkids. No one ever made me feel like I’d missed the boat. But I lived a life very different from my parents’ and most of my extended family. Everyone but me has kids. I’m not the only one who’s gone through a divorce. I suspect I seek out adventure to keep me busy since I don’t have immediate family to occupy a lot of my time. But I think there are few people who’d ever see me through that lens. My ex-mother-in-law surely didn’t. 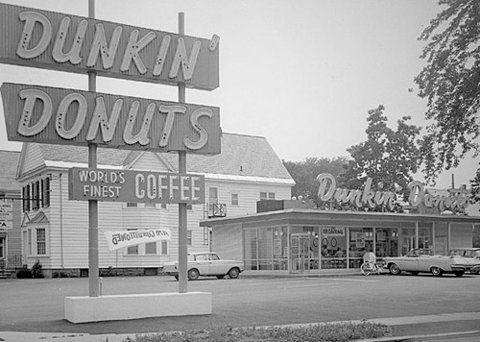 Quincy is the home of Dunkin Donuts. This store is the original one, where we would buy donuts when I was a kid. 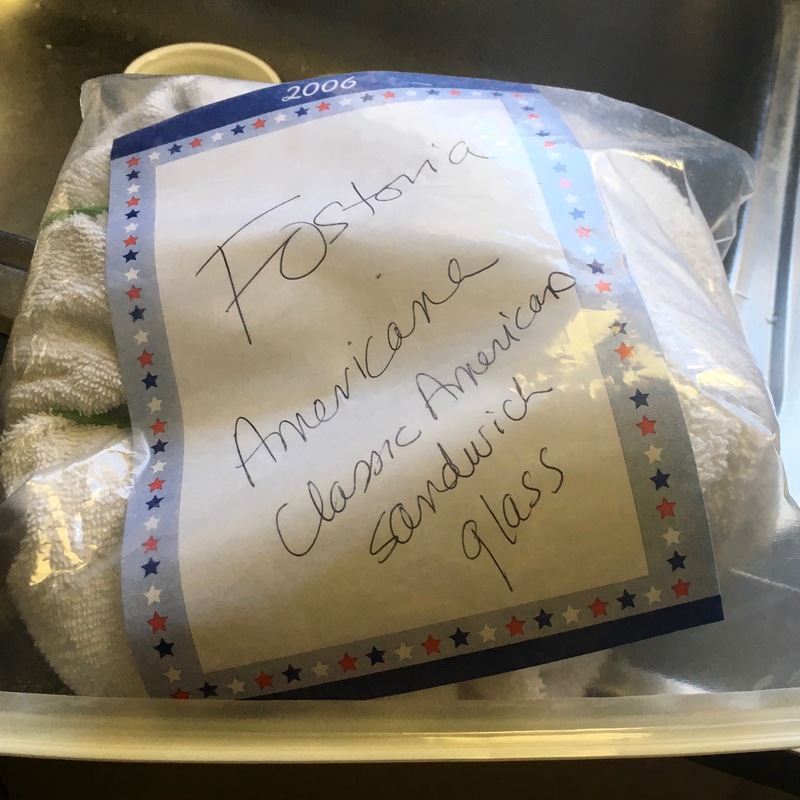 During the time I was at the conference, I wrote up my blog post on the East-West differences in sharing personal stories that I’d experienced while living in multicultural New Mexico. One of the examples I used in that post was a passage that described a friend who’d lost five brothers in tragic ways. I tried to be sensitive about how I wrote this. When I asked him if I got it right, he gave me one correction and then suggested that I write more if I wanted to. The “more” he suggested was all true and impressive and not tragic drama. Which didn’t fit the point I was trying to make in that post. However, he did make me think about the lens through which I was viewing his life. So I thought I’d take the time to use another lens. The rest of this is for you, gabacho. 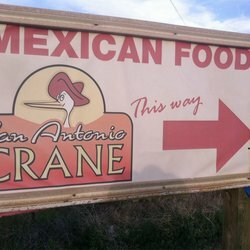 When driving to Albuquerque from Alamo, you pass through the town of San Antonio just before you get on the main highway. It is small, about 165 people. 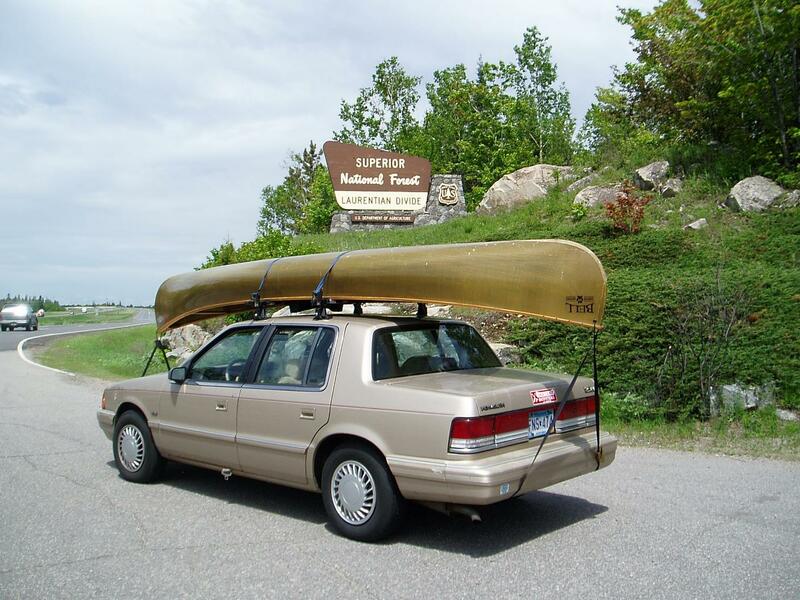 It would be the ideal place to stop for a break as it is just about at the midway point of the trip. There are a couple of restaurants/bars that I’ve always been intrigued with, but was a little too timid to go inside, not knowing what I’d find while I was accompanying my mother or niece on a road trip. If I was with a friend, I would have braved entering any one of them. Conrad Hilton was born here, so there must be some tradition of hospitality! Just before passing through San Antonio there is a small sign for the town of Bosquecito. I’ve never seen Bosquecito, which is off the road, but I’ve often wondered what it is like. If San Antonio is the “big city” nearby, it’s hard to imagine Bosquecito. My friend who’d lost five brothers grew up as one of 13 kids in a family living in Bosquecito . He was #8. There were 10 boys, 3 girls. Dad was a cop. They lived off a farm. He told me a story about sharing a bed with 4 brothers—one would grind his teeth so loudly he’d have to elbow him to get him to stop so he could sleep. I told him that the stress of having to sleep with 4 other people is probably what made his brother grind his teeth! He moved on from this family life by getting a GED and joining the Army at 17. He became a carpenter and had the opportunity to take a temporary job with White Sands Missile Range. The Stallion Range Center on WSMR is about 17 miles from San Antonio. 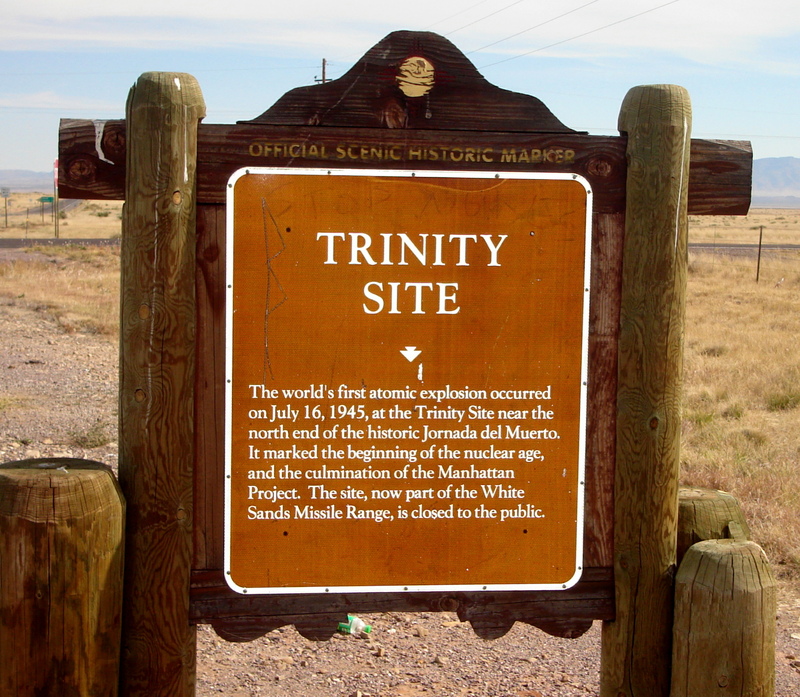 It’s near Trinity Site, where they detonated the bomb. The scientists involved met at the Owl Bar in San Antonio. After working for a while as a carpenter he saw there was a need for electricians so he trained to become one. As employees left, he worked his way into a permanent job with the government—a civilian working for the Army. 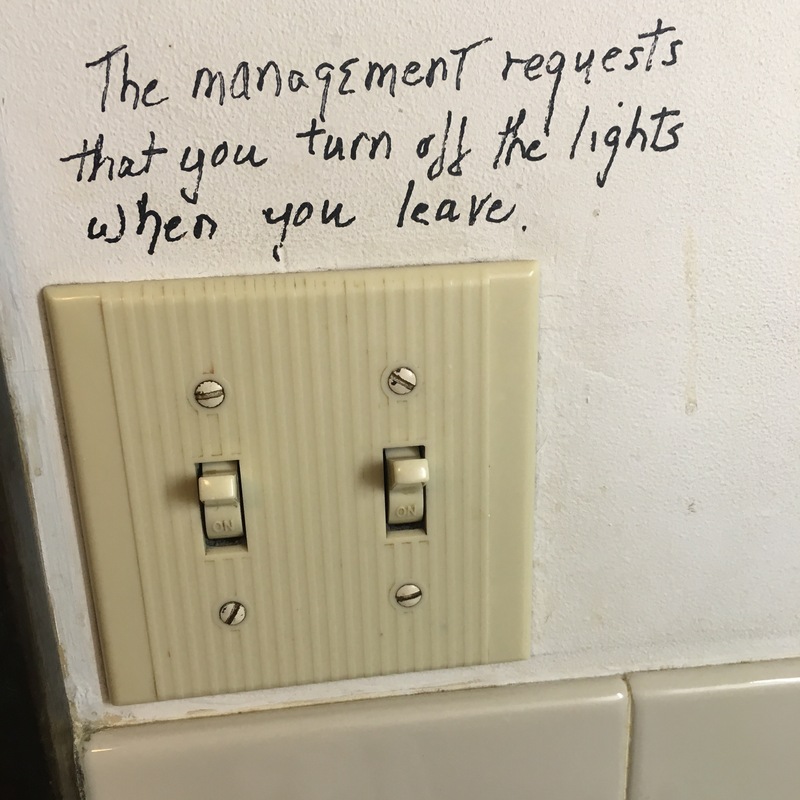 Over time he had the opportunity to become a utilities supervisor there. The position required mastery in two trades, which he had. They chose him for the position over a guy who had three degrees. I suspect that decision was made because of his ability to work well with people in addition to his trade skills. He then had to learn a variety of trades in order to supervise a variety of workers. He knows how to purify the water supply for a small city. He has a contractor’s license and commercial driver’s license for the state of New Mexico. He told me he’s the only non-hunter who’s bagged a deer and an oryx. He took each of them down when he couldn’t stop the massive vehicle he was driving on the missile range! During all this time he managed to raise three kids who are now all well employed adults. And was a step-dad to another. He helped care for his mother as she died from a hideous hereditary disease and then took care of the schizophrenic brother who died of the same disease, as his mother asked him to. He retired at 56 and now spends his time supporting his kids and granddaughter in a variety of ways. He does home repairs for a widow, electrical work for friends, and regularly visits the elderly in the nursing home where his mom died. That is the other lens through which a person could view this guy. I hope I’ve used it well. 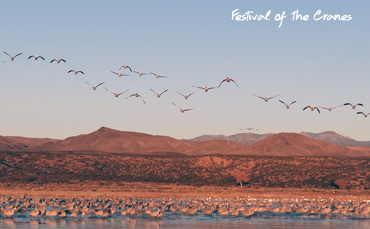 San Antonio is the gateway to Bosque del Apache National Wildlife Refuge, the site of the annual Sandhill Crane Festival. Thanks to all of you who get in touch to tell me you enjoy my stories. I suspect it may be a while before I get to another one, as I’ll be packing up to move back East soon. And it now looks like I’ll be selling my house when I’m there, so that should keep me busy. I’m looking forward to seeing a few friends along the road. I hope I find you in my travels. Enjoy your summer! I listened to a young grandmother call her granddaughter as we waited on the ramp outside the plane for the items we had checked at the gate. My roll aboard suitcase did not fit in the overhead compartment of the undersized regional plane. The stroller she had used to wheel on board her almost 3-year-old granddaughter also did not fit in the overhead compartment. I noticed that although Abuela mostly spoke Spanish, Catalea mostly replied in English. This reminded me of the time I was at a cookout hosted by a former boss. Almost everyone was bilingual and we were speaking a lot of Spanish. My coworker was raising her son to speak Spanish. She and her husband were originally from Cuba and spoke Spanish at home. But their son had spent too much time in an English-speaking daycare setting. A group of us took a walk around a pond with her son where we spotted a few swans. I learned from her grandmother that Catalea was in an English-speaking daycare, although they only spoke Spanish at home. Moral of the story: If you want your kids to speak Spanish, don’t send them to an English-speaking daycare. It turned out that Abuela and I had both flown from El Paso to Phoenix with the plan to continue on to Baltimore. That flight would not leave for another four hours. 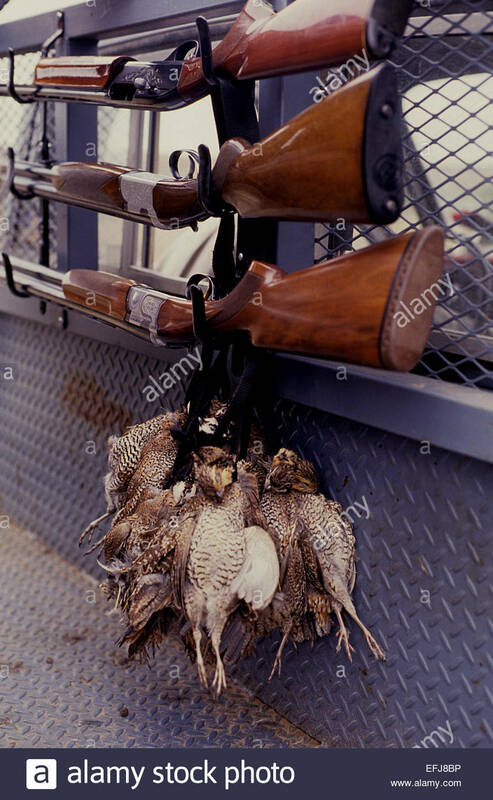 And over the next four hours we demonstrated how much a New Englander reveals about herself as compared to what someone with New Mexican blood will tell you over a brief period. I had asked Catalea (in Spanish) how old she was. She told me she was two (in English). Abuela told me she would turn three on April 25th, in just a couple of weeks. They were traveling with a piñata bought in Juárez so they could use it for her birthday party back in Pennsylvania. Apparently they also had celebrated an early birthday for Catalea while staying with family in El Paso using a much larger, more impressive piñata. That one would not have traveled so well on the plane. Abuela was originally from the state of Chihuahua, had graduated high school in Juárez, and her family had moved to El Paso at some point after that. 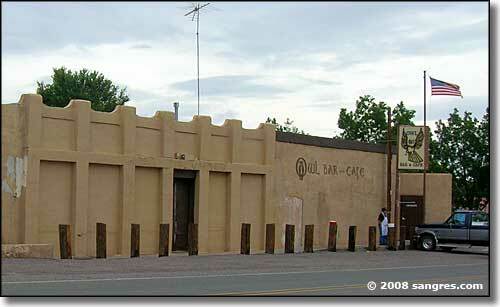 Her mother’s family lived in the Silver City, NM area. She had learned English as an adult and spoke fluently, but with an accent. She had married an Irish American U.S. soldier from Pennsylvania who had been stationed at Fort Bliss in El Paso. They were now divorced, but her kids were raised in Pennsylvania, so she couldn’t imagine leaving, much as she hated the weather, especially the snow shoveling. She lived with her daughter, a single mother, and her granddaughter, Catalea. She also had a son in Pennsylvania. When her husband brought her home to Pennsylvania years ago, his family had a lot of concerns about the fact that Spanish would be spoken in his home, and how white the kids would be when they were born. He became quite proficient in Spanish and he and Abuela’s kids spoke Spanish at home. At the same time all his siblings lived in the same small rural community near Gettysburg, married to other WASPy locals. 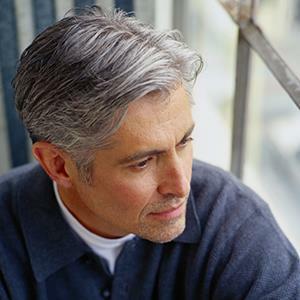 She said when they divorced, the family thought he had come to his senses. Then he married another Mexican. His third (current) marriage is to a Filipina. He can’t seem to get with his family’s program. In this rural community there are a large number of Mexicans, as there is seasonal work in the fruit orchards nearby. The local farmers love them because they are so hard working. The other locals lean toward being Trump supporters. But the workers are mostly from Michoacán, not Chihuahua. And their Spanish is for the most part not up to the standards of this Chihuahense. However, her granddaughter’s father and her own boyfriend of 7 years are both from Michoacán. Abuela has four siblings, an oldest brother and three sisters. She had gone to El Paso to help a sister take care of the brother, who is schizophrenic. She works seasonally in a bilingual Head Start program so is off for months at a time. She claims that the brother’s illness is what killed her mother. She died of a stroke, probably from high blood pressure that was the result of stress associated with caring for a schizophrenic. Her boyfriend of seven years wants to marry her, but they are practicing Catholics and it is important to him that they marry in the church. But since she married in the church before, she’d have to get an annulment to do that. I asked her if she wanted to get married and she said she wasn’t sure, she was pretty happy with the status quo—he wouldn’t live in the house if they weren’t married, but he’d still be around. I told her I’d be happy with this arrangement—A guy who would be around for home and car repairs as needed, someone to have dinner with (at home or out), to join me on frequent adventures, spend overnights, and return to his man cave (reasonably far away) when space was needed. That’s about as much as I can handle successfully in a relationship. She was in the middle of several Catch-22’s. He wouldn’t get married in a civil ceremony. He wouldn’t live with her if they weren’t married. She feared that if the church denied an annulment that they would never be able to get married. She feared that if the church approved an annulment then she’d have to marry him! Meanwhile every Sunday they were attending mass together and periodically the priest would inquire about the status of things. She seemed to enjoy laughing at the absurdity of the situation. It was nice having such an interesting person to pass four hours with. We enjoyed the convenience of watching each other’s bags while we took bathroom and snack breaks. I watched Catalea as she napped so Abuela could enjoy a break on her own. Catalea puts a blanket on the jaguar of my laptop cover so that he can take a nap and she can prevent him from biting anyone. I mentioned that I was traveling to a conference for ESL teachers and that I’d worked in educational publishing making Spanish and English language learning materials for many years. I had worked for several publishers on staff but now did freelance work as a self-employed writer/editor. Having lived and worked in Boston most of my adult life, I moved to Alamogordo in August, where my brother has lived the past 20+ years. The motivation for the move had a lot to do with last winter, though I suspect I mentioned that there was also some unwanted baggage I hoped to leave behind in Massachusetts. This may have come up in the context of my supporting her ambivalent position on attempting a second marriage. She knew I was divorced from a guy who was originally from Maryland, which is where we were headed. She told me she liked my gray-white hair and said she was thinking of making that transition. I gave her tips on how to approach the inevitably uncomfortable grow-out process. She complimented my Spanish and I explained that I’d first learned it in school and became fluent as a student in Spain. 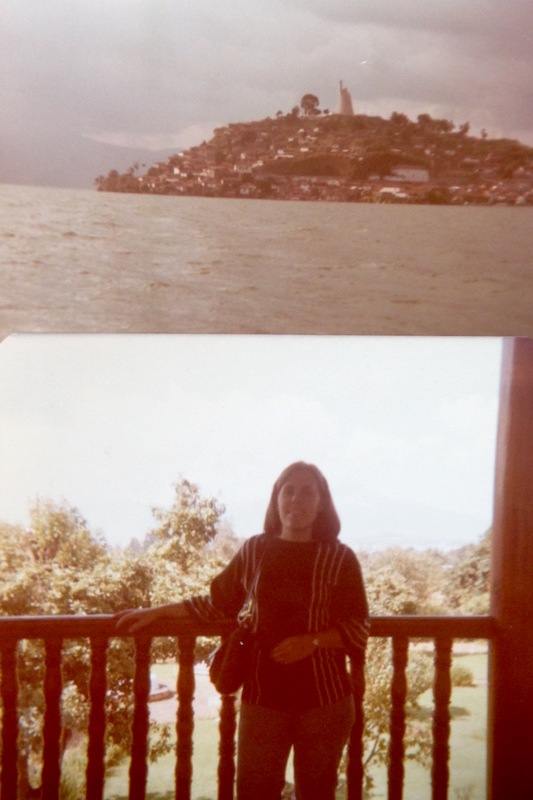 I’d traveled through a lot of Mexico for both work and play, including the state of Michoacán, where they speak that awful Spanish she mentioned, as well as Juárez, where she’d graduated school. I’d also traveled to other Spanish-speaking countries. I loved working with the language. That pretty much covers it. That is a ratio of 4 paragraphs of information on my life to 10 paragraphs of information on Abuela’s life that was shared over the course of 4 hours. And she was only 50% New Mexican. (Her mother’s family was from the Silver City area, where she admitted they spoke Spanish even worse than people from Michoacán!) I suspect that if she were 100% New Mexican then 80% of the conversation would have been about her life instead of the 60% that I experienced. Maybe my mathematician friend can work up a formula for me so I can predict the content of future conversations based on the regional identity of the person I’m talking with!